"Assyrian of the Year 6755"
The Shattering of the Syriac Orthodox Church! 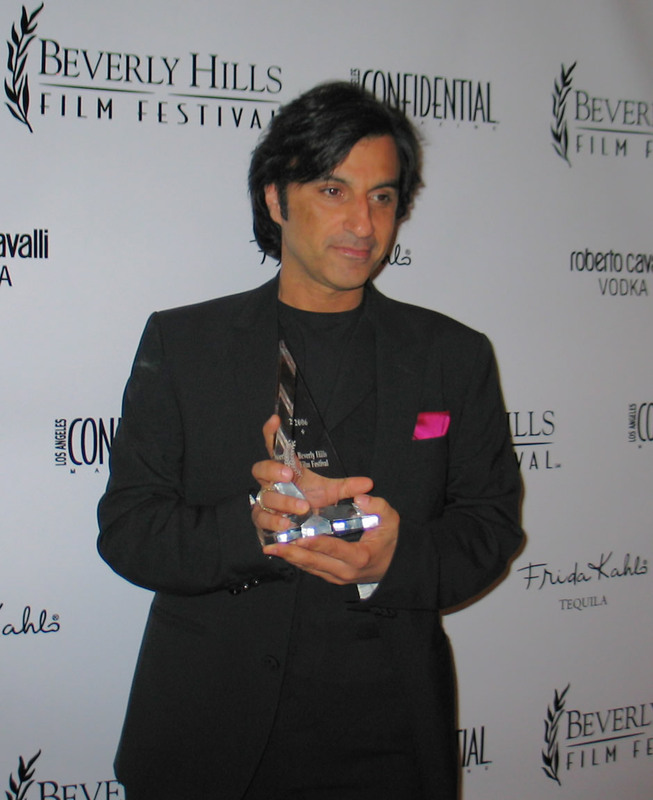 Nuri Kino accepting the Golden Palm Award at the 6th Annual Beverly Hills Film Festival on 9 April 2006. He is already a legend in Europe. Every Assyrian activist, speakers of the western language in particular, know him as their great motivator. On stage, as on paper, he is even a greater font of inspiration. It is impossible to avoid him should you be fortunate to stand within a ten-mile radius of his charisma; he exudes energy in all directions. Last year, he took a bold step on the center stage of the most controversial issue in the politics of his native country - Turkey: the Seyfo Genocide of 1915. Instead of lecturing us with endless harangues, he gave us a film about the rise the most spectacular Assyrian sports team in decades, from the ashes of estrangement in the diasporas. A team whose players had more in their minds than the national championship of a Scandinavian country; they demanded world’s attention to the forgotten chapter of a forgotten people. Our man was there to capture their athletic and political aspirations and was recently rewarded for his brilliant performance. For his life-long dedication to spotlighting the struggles of his people, his love of journalism which gave us a voice when others ignored us in our homeland, and for his innovative approach to bringing awareness to the lives and times of the Assyrians in the 1915 Ottoman Empire and the 2005 Sweden – moving effortlessly between the killing fields of Tur-Abdin and the sports stadiums of his adopted country – Zinda Magazine names Mr. Nuri Kino: Assyrian of the Year 6755. Readers of Zinda are familiar with Mr. Kino’s sharp-tongues articles as an Assyrian-Swedish freelance journalist. On 16 November 2004, Nuri wrote in one of the most powerful guest editorials of this publication, “The Agony of Victory”: “The news of the Assyrian Football Federation of Södertälje’s advancement to the highest Swedish football league “Allsvenskan” was a real bombshell, and Assyrians all over the world publicly showed their joy over the achievements of their “National Team”. All over the world, except in Iraq. In Iraq, cheering for and supporting the Södertälje football team will get you decapitated.” Zinda offices were bombarded with telephone calls as soon as the issue hit the cyberspace. 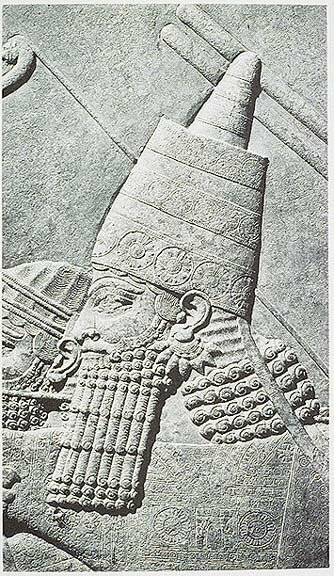 Every Assyrian, west of the Atlantic Ocean, wanted to know who Nuri was. 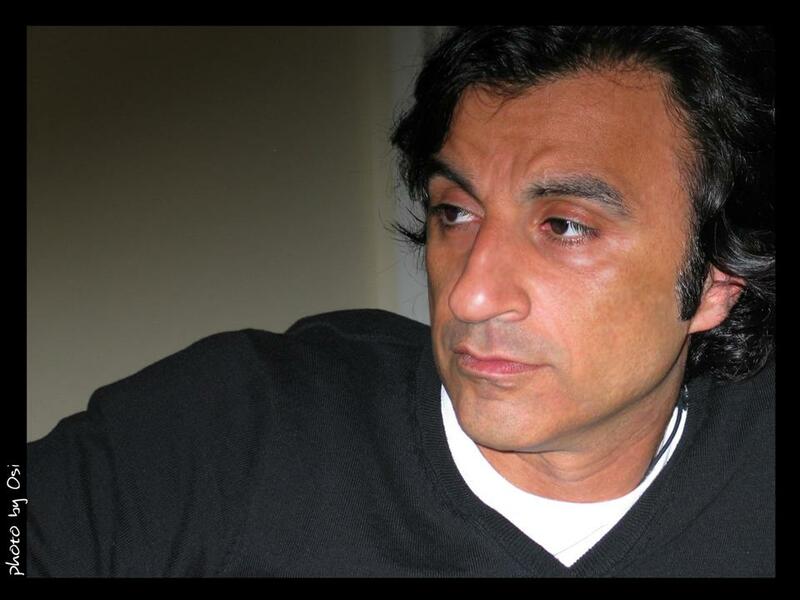 His next articles in Zinda – The Struggle of Iraq’s Christian Assyrians, Swedish Government Directly Negotiating Release of Minas al-Yousifi, were no less eye-opening and acerbic in tone. Nuri was skillfully injecting us the cure to our years of apathy. 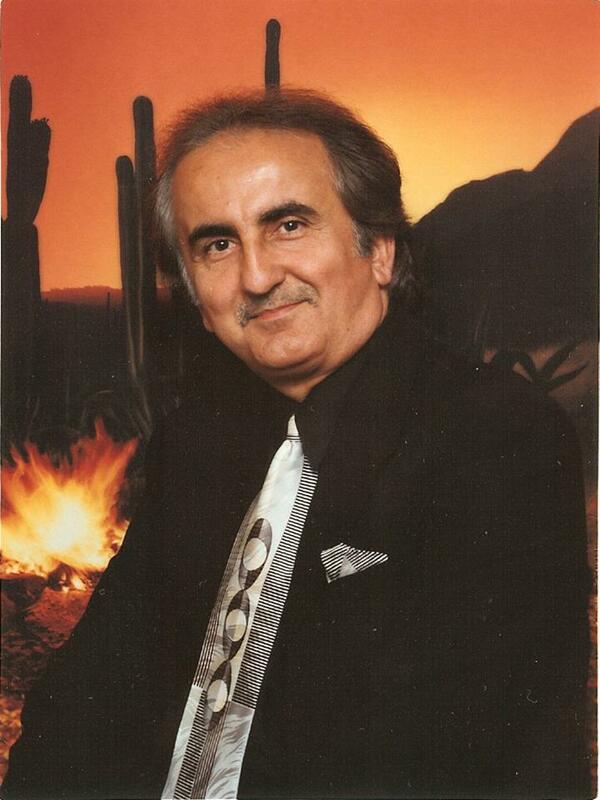 Nuri Kino was born in the Assyrian city of Midyat in the region of Tur Abdin, in southeast Turkey. He left Turkey when he was four. After fleeing Turkey with his family, Nuri attended schools in Germany and Sweden. In Sweden, Nuri worked in various jobs including teaching and pizza making and finally settled for freelance journalism. In 2000, he along with Wolfgang Hansoon won his first 'Golden Spade' – Sweden’s equivalent of the Pulitzer Prize - for investigating human smuggling in Europe. He was four more times nominated for the Guldspaden and received two more for Best Investigative Journalist in 2003 and 2004. Nuri Kino has also received the Swedish Television and Swedish Radio’s Ikaros Prize for Best Public Service Journalism and became the Role Model of the Year for Swedish Journalist Students at Sundsvall University in Sweden. In 2002, Kino was nominated as a finalist for both the Great Journalist Prize and Save the Children Prize in journalism. He also serves as a Jury Member for the Humanity of the World Documentary Film Festival. 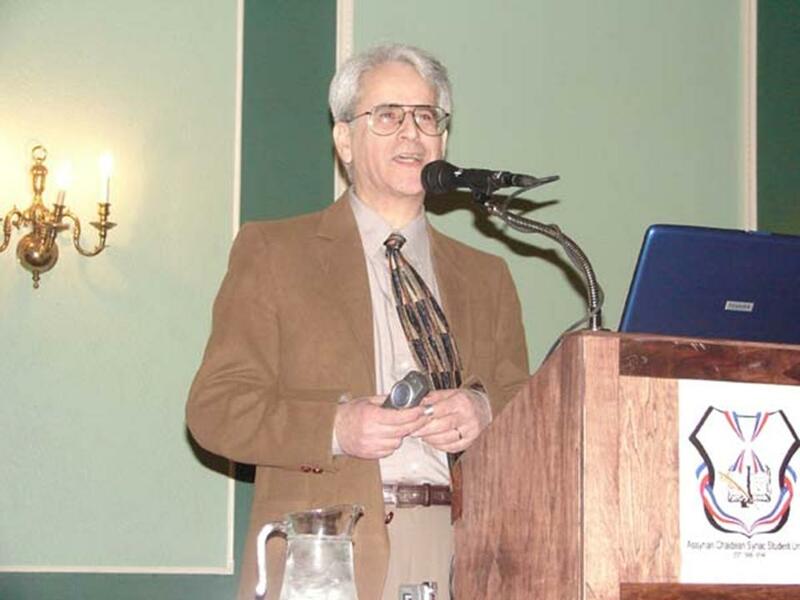 In 2005 Nuri was introduced to the Assyrian-American audiences at the Assyrian National Convention, held in Boston. He passionately spoke of his work, the Assyrian youth, and the struggles ahead. While filming final pieces of his next documentary, “Assyriska: A National Team Without A Nation”, he captivated his audiences with his artistry in filmmaking by a showing of his film on the Seyfo Genocide - The Cry Unheard (2001). Earlier this month, Nuri Kino and Erik Sandberg’s “Assyriska: A National Team without A Nation” won the Golden Palm Award for the "Best Film Competing in All Categories" at the Sixth Annual Beverly Hills Film Festival. “Assyriska…” is the story of an Assyrian soccer team from Södertälje, Sweden that rose from a small back-alley team of Assyrian immigrants to national championship. Standing before a crowd of admirers, film critics, journalists, and photographers and tightly holding the Golden Palm, Nuri felt the weight of history. His teary eyes reflected the agony and desperation of his people. After a moment of meditation on a personal journey from southeast Turkey to the most lavish hotel in Beverly Hills, California, he summoned words that have for the last few years inspired all of us to move forward. And again Nuri left us breathless. These days, the Jewish lobby in America, Armenian scholars lecturing around the world, and the government in Ankara have a tendency to trivialize almost everything that touches the subject of the extermination of two out of every three Assyrian in 1915. The year 2005 was the 90th anniversary of the most horrific episode in the modern history of the Assyrian people. Ninety years before, the Young Turks ordered the killing and deportation of millions of Christians – Assyrians, Armenians, and Greeks. The rest of the world neither knew or cared about the commemoration of the Seyfo Genocide – until the publication of “The Crimson Field”. 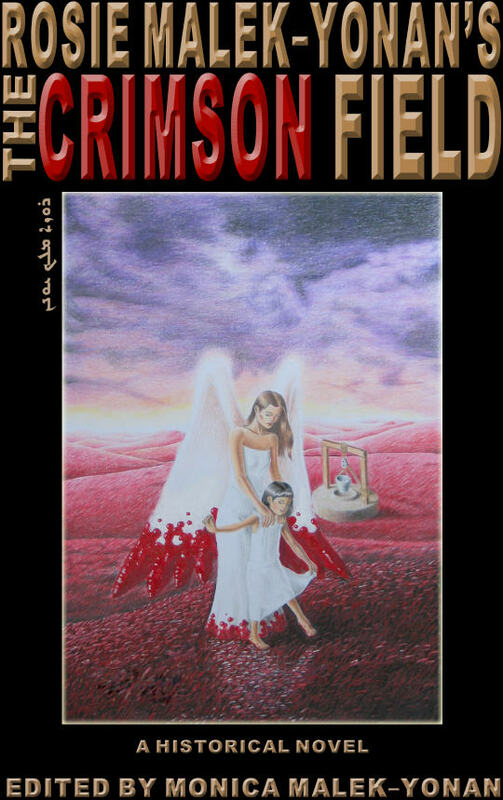 Acknowledging the worldwide significance of its educational impact and the remarkably creative method by which it conveyed the unspoken facts about the most momentous years in our recent history, Zinda Magazine names the publication of Rosie Malek-Yonan’s “The Crimson Field” as the “Event of the Year 6755”. What makes “The Crimson Field” so riveting, so unorthodox, is its uncommon portrayal of the heinous acts committed against the Assyrians. Malek-Yonan leaves no stones unturned. She loads every page of her book with the horrors of the Turkish and Kurdish murderers and rapists who savored the torment of their Christian neighbors. Before September 2005 we only spoke of the Sword of Islam in 1915; after the release of “The Crimson Fields” we experienced the carnage and butchery first hand. This literary masterpiece is a chronicle of Assyrians’ struggle for hope and recognition emerging ever so slowly from heaps of despondency. It awakens its readers’ conscience to the most fundamental factor in the survival of the Assyrian nationalism and heritage, the Assyrian strength of character and resolve to excel under any condition. “The Crimson Fields” made the Seyfo Genocide, unquestionably a very difficult material to analyze and comprehend, accessible to mass audiences – both Assyrian and non-Assyrian. Hopefully, Malek-Yonan’s grisly interpretation of those dreaded real events would soon be exhibited on stage and in movies, where even larger audiences will become aware. The mass killing and deportations of the Assyrians between 1915 and 1923 is a story pleading admission. Rosie Malek-Yonan’s book, through its sophisticated approach to history, was the most unsurpassed manner of shamelessly scolding nine decades of silence and omission. “The Crimson Field” was our finest answer to history. Before Nuri Kino’s arrival to Los Angeles, or the City of Angeles as it is called, there was much preparation and work to be done. Everything was hectic and deadlines were fast approaching. Poster, postcards, press releases, copies of the film, press kits, promotional materials to write and distribute, personal appearances to schedule, interviews to book, people to see, places to go, manager’s demands, festival’s demands, publicist’s deadlines…Somehow it was all coming together. But wait…his first interview had to be cancelled. A snowstorm delayed Nuri’s arrival for 24 hours. Nothing to worry about. A minor setback, I reassured myself. Then we lost the cameraman that would be taping his first interview. No worries I said to myself again… It will all worked out for the best. I hired another film crew. This time I decided I would do a documentary film on Nuri Kino from his arrival to his departure. Nuri, who rarely gives interviews, thought that the idea was crazy. He didn’t think that there was anything to do a documentary about. But I could see that he also didn’t want to let me down and graciously allowed me to invade his life with my film crew. No sooner had Nuri arrived in Los Angeles, when he was whisked off to the Assyrian American Association of Southern California in North Hollywood, to the Kha ‘b Neesan (Hab Neesan) April First celebration of the Assyrian New Year where he was the guest of honor. The next morning Nuri was the guest of honor at the Kha ‘b Neesan breakfast at the Assyrian Catholic Church of the East in Tarzana. Everyone wanted to meet Nuri, the man who had achieved so much in so little time as a freelance journalist in Northern Europe garnering amazing accolades for his relentless and untiring investigative work. The community was now brimming with excitement knowing that Nuri and his friend Erik Sandbergs’s latest documentary film was a finalist at an international film festival. When the documentary, Assyriska: A National Team Without A Nation was announced to be a finalist at the Beverly Hills Film Festival (BHFF) competing for the Golden Palm Award, the tickets were at once sold out for the screening of the film. Nino Simone, the president of BHFF quickly added a second screening due to popular demand. It wasn’t long before nearly all seats were sold out for the second screening as well. Where all other films in the festival received one screening, Assyriska: A National Team Without A Nation was the only film to receive two sold out screenings. Wednesday, April 5, 2006, was the Opening Night Red Carpet Event at the Writers Guild on Doheny Drive in Beverly Hills. Cameras were flashing as the parade of celebrities took place and we walked down the aisle stopping for photo ops and answering questions from the media that piled behind the red rope being kept at bay. Big names. Big films. Assyriska had its work cut out. Forty films would compete in this year’s festival. The festival opened with Fellini’s film, Verso La Luna Con Fellini (Towards The Moon With Fellini) at the Writers Guild Theatre. A flip through the pages of the festival program revealed another big documentary film, Why Shakespeare? It starred Tom Hanks, William Shatner, Martin Sheen, Michael York, Bill Pullman, Christina Applegate, and the list went on and on. For a moment I wondered if Assyriska stood a chance. Assyriska was not a typical Hollywood film. No stars. No fast cars. No special effects. I wondered if the panel of jaded Hollywood judges would see the soul of this film and what it represented and stood for? Thursday, April 6, 2006 was the first screening of Assyriska: A National Team Without A Nation at the Clarity Theatre in Beverly Hills. My film crew followed Nuri and the audience. The theatre was packed. Standing room only. After my brief introduction of Nuri, he addressed the audience, and then came the film. It didn’t matter that some of us sat on the floor in the aisles or stood against the wall in the back. The house lights dimmed to black. The screen lit up and with the first few frames of the film, the audience was riveted. As I sat on the floor in the middle of the aisle, I looked about the theatre. I knew we had a winner. In one word the emotion I experienced and saw in the audience was pure pride, above all else, for the Assyrian audiences, and for the Americans, a journey into a culture that was as Nuri always described, “A hidden pearl.” In the first few moments of the film, a young Assyriska soccer player stretches out his arms. On his right forearm an Assyrian word is tattooed. That single moment sent chills down my spine. The second screening on Saturday, April 8, 2006 was equally charged. The Swedish Consulate attended the screening as well as Americans, Assyrians, industry festival attendees and the Western media. That evening much like every evening since Nuri’s arrival, the discussion around the kitchen table was about Assyriska’s chance for a win. Is the film going to win? Are we going to win? Can it win? It’s impossible. No! Yes! Maybe! I think we ran a gamut of emotions every night to the point of exhaustion. As we sat at table number two with Nuri’s cousin, a couple of friends and other American filmmakers, we made polite conversation, glancing up every so often at the award statues sitting on a table on stage a few feet away from us. We must have all been thinking the same but kept our thoughts to ourselves until the awards ceremony was underway. I sat between Nuri and his young cousin Jak. Category after category, winners were called up on stage to accept their awards. With every category, Jak would whisper, “Is this ours?” I would hesitantly nod, yes. But Assyriska wasn’t called. Nuri was quiet. Then there was one award left. Last chance. I knew we would win. We had to. Assyriska was a film about truth. Surely the judges had to have seen that. Nino Simone was called to the stage to present the final award of the night, the Golden Palm. It would be awarded to one film that was selected as a winner in “every category.” Tom Hanks and Fellini were still contenders. I pushed them out of my mind. The envelope was ripped open and the card pulled out. A moment of hesitation…“And the Golden Palm goes to…Assyriska!” The room exploded! Nuri darted out of his chair and flew to the stage. My film crew raced towards him. I felt like a bottle of champagne that just blew its cork under pressure from being shaken. I couldn’t stop crying. The moment was surreal. An American man, a filmmaker who had been sitting next to Nuri all night cried so hard, he had to excuse himself, leaving the table. Nuri Kino’s arrival at Los Angeles was much like a tornado that whipped through our City of Angels. Fast, furious, full of life. He came with high expectation. Demanded attention and wasn’t satisfied until he claimed the top prize at the Beverly Hills Film Festival. For ten days, my city and its American and Assyrian communities were buzzing with excitement. Then in a flash, he was gone. With Nuri’s departure, life became hauntingly quiet and sedate as he left his indelible mark on a city that has seen so much. Still, though, the City of Angeles was not prepared for Nuri Kino. Now it awaits his return with breathless anticipation for the unveiling of the next chapter in the life of a man who knows no bounds. Nuri Kino & Rosie Malek-Yonan at the Beverly Hills Film Festival's first screening of "Assyriska: A National Team without a Nation" on 6 April, 2006. The mind of Nuri Kino: click here to read Nuri's blog. The AUA addressed the plight of the Assyrian with objectivity through their declaration; which they adopted at the end of their 24th worldwide congress held in London, UK from 07th to the 10th of July 2005. They not only implemented necessary hierarchal changes, but their declaration represented the true Assyrian national aspirations . They also took an anonymous and internal decision - not declaring it to the Assyrian public - to initiate fraternal bonds with other major Assyrian political parties; mainly: Assyrian Democratic Movement and Assyrian Democratic Organisation. The plan was for this triumvirate entity to issue a joint declaration, and agree on salient issues: to better represent our people in Iraq, especially for the then upcoming Iraqi elections. However, as soon as Dr. Emanuel Kamber took office, he immediately collided with internal financial sanctions, and fierce anti-propaganda with ADM at its substratum . The AUA Foundation’s financial sanctioning of AUA leadership, and the aforementioned anti-propaganda resulted in: undermining any attempt for the triumvirates: which means, AUA’s declaration became nothing more than political rhetoric colouring plain white paper with black ink, on one hand, and the deplorable election results which ADM heralds as victory  on the other. Furthermore the emergence of a conflict within the Assyrian Church of the East caused both, AUA, and ADM to divert from the main issue at hand. 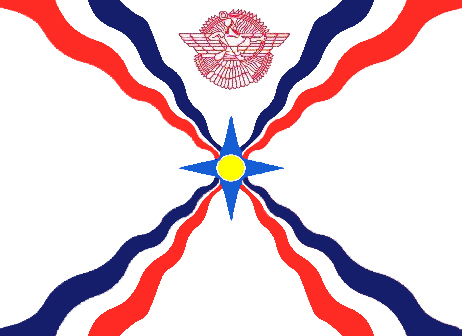 Although they both did not officially manifest their stance but it is obvious for the Assyrian masses that – although indirectly – ADM supported Mar. Bawai Soro, and AUA supported Mar. Dinkha . This caused further distancing of the two political entities. Moreover it resulted in the Assyrian masses accusing both: one, as just another church committee (AUA), and the other (ADM) as renegades and apostates. 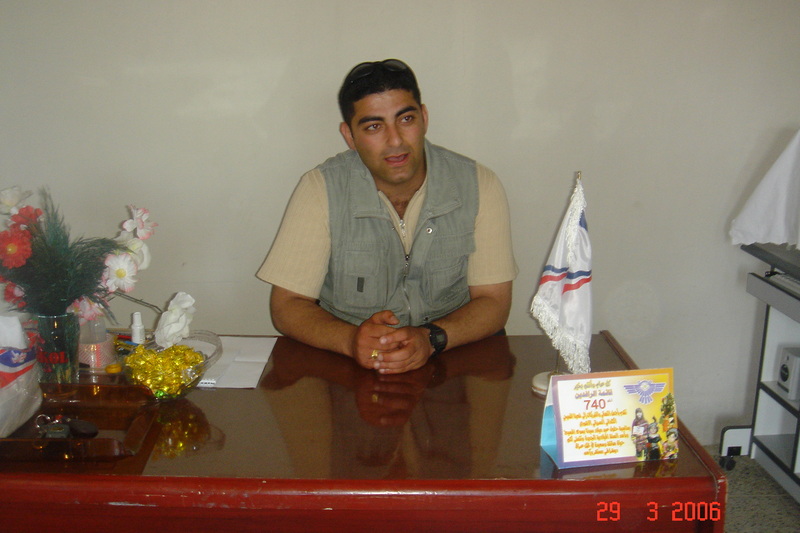 During all this, the Assyrian Democratic Organisation (ADO) was, and is still experiencing internal problems , despite it being active in Syrian political arena. Whilst the other political parties which are based in the West were satisfied with press releases and maintaining a few websites and TV channels, and those that have a presence in Iraq - with the exemption of Assyrian General Conference (AGC) - amalgamated and affiliated our fate and themselves as minions to the Kurds. In light of such Assyrian political disorientation the AUA called for a general conference to take place between all the Assyrian political parties including the Chaldean Political Forum (CPF). Although this conference was long overdue, and despite the fact that it was criticised by a faction of some unofficial political representatives: it was of pivotal importance, and many Assyrians perceived it as such. However, right from the outset it possessed a few deficiencies. The first shortcoming was: the AUA did not communicate with all the political parties prior to the conference, as to set the agenda for the meeting; believing that they, together with all the other political parties, will democratically decide on the agenda on the first day of the conference. The second – although AUA was not responsible for – was the fact that ADM did not participate. In fact ADM did not even reply to AUA’s invitation, not even an ethical reply even if it was a negative response. It was a shame because the participation of ADM would have surely enriched the conference. On the first day of the conference, I spoke to a few participants and they all seemed positive. Dr. Emanuel Kamber’s morale was high and he was optimistic despite the fact that he too reiterated the importance of having had ADM there also. When I asked some of the participants regarding what they think the agenda will be; they all replied in accordance: the amendment of the preamble of the proposed constitution, because it does not mention our nation’s national rights, and suffering , and the need to define our national rights and demand them in a future Iraq . When I asked Dr. Kamber, as to what does he think about the name issue especially with the presence of CDF, he replied assuring me that, “CDF was invited under the condition that the name will not be tabled, and made an issue because the main issue at hand would be the Administrative Region in the Nineveh Plains”. But I knew that would be mission impossible! As the first day of the conference concluded, I again met all the participants in the hotel; as usual they all gathered in the seating area of the foyer, and discussed politics. Again everyone I spoke to reiterated the aforementioned two points which was to be discussed on the second day of the conference. They all were optimistic and the morale was high. It is worthy to note here there was a general feeling that ADM is isolationist, and it feels that it can act unilaterally, ignore all other political parties and claim the sole leadership of our people. Especially when some found out that Mr. Ra’ad Ishaya of ADM’s political bureau was in Holland during or just before the conference, and refused to attend the meetings . As we were setting in the foyer and discussing the issues at hand, Mr. Shimshon Khobyar of Mesopotamian National Union (MNU) commenced analysing the results of the last Iraqi elections. He in fact made a statement which shocked me personally and almost all the political parties which were present. He said, “In the last elections, all of us that joined the Nahrain Watani slate, were well aware we will not gain any representation in the elections. In fact our aim was not to win in the elections: our main objective was to undermine the very possibility of ADM wining any seats”. This of course was Mr. Khobyar's opinion, but he spoke on behalf of all those that had joined the Nahrain Watani slate. Mr. Terry Putrus of the Assyrian Patriotic Party (APP), for example, was present, and he did not comment at all . I later Interviewed Mr. Terry Putrus, and it felt like I was interviewing a delegate of a Kurdish -- not an Assyrian-- political party. In fact he reiterated a few time during the interview that his party was a Kurdistani party. When I asked him about the fate of the Nineveh Plains, he opined; “We seek to affiliate this region to the Regional Government of Kurdistan”. When I asked him, “what if they become independent, what then?”, he unhesitatingly replied, “We would opt to become part of an Independent Kurdistan”. The other interesting matter was the Movement of Independent Syriac Assembly which had sent a letter apologising for not being able to attend. But when the letter was read, a person emerged among the crowd of the attendees and claimed to be their delegate. Ironically, this individual did not speak any Arabic and did not seem to know anything about the situation in Iraq, yet he claimed to represent the Movement of Independent Syriac Assembly! There it became overt that this individual was a member of the European Syriac Union (ESU)  because he did not posses any credentials that linked him with the Movement of Independent Syriac Assembly, and we constantly and only conversed with the ESU delegates. The second day did not end as expected or as early as the first. On the first day the agenda was set – an easy task – but on the second day the agenda was to be discussed in detail, which meant that the meetings could prolong, and I had to exploit every recess to interview the participants. The name issue consumed most of the second day if not all; as the day went by the participants displayed more and more signs of pessimism and fatigue. Every time I spoke to one person  his stance would differ from that of another, even from his comrade despite their being members of the same party! Q1: What are you discussing today; what is on the agenda? Q2: Let us presume that it gets amended, how do you want our name to go down in the preamble? 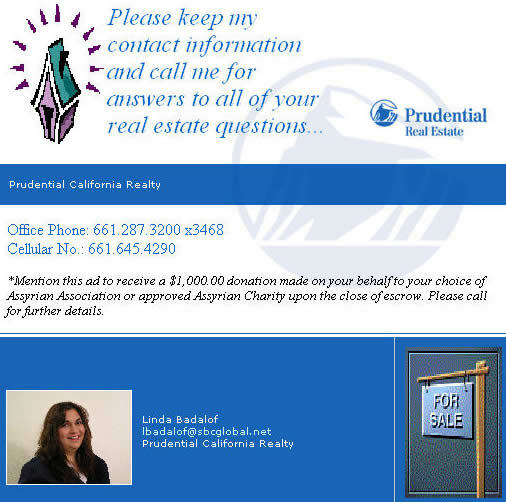 A: We, the ChaldeanSyriacAssyrian people are one people…. Q3: Would you be happy with Chaldoassyrian for example? Q4: Do you espouse the SyriacChaldeanAssyrian? If so, do you prefer it to appear with or without the “and” ? A: No, not without "ands". We are actually happy the way it is now in the constitution. We worked very hard to achieve that and we would like it to appear as such in the preamble also. Q5: What else are you discussing today? Q6: Do you as CDF prefer this governorate to be linked to the central government or the regional government in the north? A: No, of course linked with the central government. We suffer under current Kurdification policies in the north and it would be better for us to be associated with the central power . Q7: I would like to propose an idea, and I would love to know your stance on it. The Nineveh Plains, this geographical area, how was it known historically, and how is still known, not only by our people but by the international community? A: I do not understand what you mean. Q8: What is the historical and true name of this geographical piece of land that we refer to as the Nineveh Plain? A: Well, the majority of its population are Chaldeans. Q9: May very well be, but please be honest with yourself and tell me what is this area called? A: I told you that today it is inhabited by Chaldeans. Q10: Do you agree that the correct name of this area is Assyria? Q11: If you agree that this is the correct name of this area, then why not have all of us living in this area as three separate national entities, Assyrian nation, Chaldean Nation and Syriac Nation, along with the Yezidis and the Shabaks, and we all demand the establishment governorate in the Nineveh Plains, and name it under its historic name: Assyria? What do you think? A: I have no answer, we have never thought of such an idea. Q12: Are you telling me that you have absolutely no opinion? Q13: You are the leader of a political party and you claim to be an experienced politician and you have no opinion? A: Well, you surprised me with this question. I never expected such a question. I really do not have an answer for this. Q14: So you mean to tell me that you and your political party does not have a clear political vision. I mean this is what it means. Is it not? A: No, it is just that I and my comrades have never thought about this. You really surprised me with such a question. Q15: Would you agree if I am to tell you that if I was a viewer and this was a live interview on TV, and I heard you saying that neither you nor your party have an opinion. I would think that you are not a politician and your party is not a political party? A: Yes, you are right, and you would be right to think that. The second day finally concluded with a 'hilarious' press release. I mean it is nothing but rhetoric . This is very sad because the majority of the Assyrians were supportive of this conference, and they hoped that it would create a united Assyrian front. The only positive thing coming out of this conference was the fact that they all agreed they must meet again within approximately four weeks, and that they must also strive to have ADM attending the conference. The Assyrian national entities must create a united front; this must be done in unison, with AUA, ADM and ADO at its forefront. These three must meet; they must forge an agreement, they must put their differences aside. If KDP and PUK did it, and they have massacred each other for years, our parties should be able to do it also! It is obvious from my interview with Dr. Nuri Mansur of CDF that the Chaldean political parties do not really believe in the historical unity of our people , and they only play that card when necessary or even better to stonewall our national aspirations. The AUA under the leadership of Dr. Kamber can achieve its original objective; he seems to be a capable politician with clear vision. He must exercise his rights as a leader and ensure that all AUA chapters practice the same policy. He seems to be a good statesman with his people’s interest at heart; he must sieve and clear AUA of any members with opaque ties , and he must strive to, and I am sure he can succeed in assuring ADM’s participation in the forthcoming conference. The preparation for this coming conference must start from now, and the agenda must circulate around the participating parties immediately; so they can amend and complete it before the meeting takes place. AUA must call for this conference, and ADO must exploit its good relations with ADM to convince it to attend the conference. This conference must take place as soon as possible, ADM must be part of this meeting. If not, then its zealous members must inquire their leadership. Nothing can justify ADM’s lack of attendance. I am sure if ADM had attended the Hengelo Conference, things could have turned up differently. As for the other political parties, they must rise to the occasion and acknowledge the fact that they either participate and assure the success of these meetings or declare political bankruptcy. The Assyrian people demand more than occasional press releases and TV shows. Having said all this, AUA, ADO and especially ADM must liaise with these parties, and not isolate them by belittling them with petty terminologies. This is what the Assyrian people demand and anything short of this will not suffice! I was in Holland during this period taking part in an event organised by the Assyrian youth of Holland. The event was called, “Lalyo Malyo”, and it included Mr. Sabri Atman, and Malfono Ninos Aho. Also, all interviews referred to in this article are recorded and available through info@furkono.com. This is not necessary my assertion but that of many Assyrian observers. ADM did not officially adopt this anti-propaganda policy but it was propagated by ADM’s most zealous members, and supporters: hence, indirectly portraying it as ADM’s policy. It is undeniable fact that ADM swept the majority of the Assyrian votes but an objective correlation between the percentage of eligible Assyrian voters, and those that actually voted demonstrates that very few of our eligible voters did vote. In light of this, no Assyrian entity should praise one parliamentary seat as victory. For unofficial AUA stance refer to: http://www.zindamagazine.com/html/archives/2005/11.2.05/index_wed.php, and http://www.assyrianchurchnews.com/dioc-aust-nz.htm. And for ADM’s unofficial stance refer to: http://www.themesopotamian.org/, and http://www.shrara4u.com/. “Shimma D’ ‘amman” is how they were referring to it. Almost all were asking for some sort of future for our people in the Nineveh plains. In my personal opinion this did count as a point against ADM. ADM should have attended, and their lack of attendance can not be justified. The old proverb goes; silence is a sign of agreement. Although I myself am not a zealous supporter of ADM’s current policies, but I can not imagine how any Assyrian could posses such a mentality. This mentality is nothing but political sabotage, and Mr. Khobyar must be ashamed of himself. Unfortunately our Assyrian political parties have not yet learned yet: how to organise the Assyrian women or we are still a patriarchal community living the 3rd millennium. Because there was no Assyrian female delegate present! This is all well but Dr. Nuri’s co-delegate, Mr. Qays Sako wanted the Nineveh plains region to be associated with the regional government and not with the Iraqi central government, when I spoke to him. Thus two people of the same political entity held two negating opinions and they both declared them as their parties official stance. Please refer to Dr. Nuri’s answer to my fourth question. In Northern Iraq (Assyria), where Kurds currently make the majority, Kurdish nationalism takes precedent over the Iraqi one – the ultimate goal is a “Kurdistan” on Assyrian homelands. They have decided their destiny, and are working diligently toward it, not even stopping short of murder to achieve their goals. Their ethnic identity goes unquestioned, they proclaim proudly their Kurdish ethnicity, even though with this proclamation comes heavy responsibility and duty to the Kurdish nation – they know where their loyalties lie; with “Kurdistan”, not Iraq. So comes to mind a question: Are you Assyrian? The answer to this question is not as easy as it seems. It is different than asking someone if they are Italian, or French, or Mexican. Ethnic pride certainly exists – but these nations are not in danger if Diaspora communities do not take interest in their countries of origin. Their borders are solid, their languages are alive, and their identities are universally recognized. If we are Assyrian, let’s face it – we are the only ones that care. And in most cases, the only ones that know. An affirmative answer sets in motion certain burdens that other ethnic groups do not shoulder. The time is fast approaching where we have to decide the answer to this question, not just individually, but collectively: Where do our loyalties lie? Do we want to be a part of the body politik of Iraq? Of a possible “Kurdistan”? Do we want our own autonomy and self-rule? Or do we accept an “Islamic Democracy”, in which our traditions (religious and cultural) are subject to the approval of Shari’a law? You see, before we are Zowaa or Bet Nahrain supporters, Christians, Americans, Canadians, or British subjects, we are something else; we are Assyrian. If we are Assyrians, then we have obligations. Certain truths come with this answer: If we are Assyrians, we accept that we are ethnically different from the Arabs and the Kurds. We, as Assyrians, are the indigenous people of Iraq (predating Kurds and Arabs) and if Kurds and Arabs have the right to land and self-determination, then so, too, do the Assyrians. If we are Assyrians, we are not to be humiliated, ignored, overlooked as insignificant, treated like secondary citizens - in land that is ours - by those who occupy. With being Assyrian comes both a blessing and a burden – we are the world’s first nation, and we, the children of our ancient ancestors, bear the duty of ensuring our survival. Hey, no one ever said it was easy. And, if we believe we are Assyrians, the rest is just details. Really, truly, the rest is just details. Because if we believe we are Assyrians before we are Iraqis (or Iranians, or Canadians, or Americans) and if Iraq does not want to recognize that we are Assyrians (nor do Kurds), then we, as individuals, as a people, as a nation, deserve the right to pursue our own survival, in accordance with human rights and the declared Geneva Convention social contract. Chaldo, Syriac, Assyrian – when there is a place we all call distinctly, “home”, these questions will – must – eventually be resolved of their own accord. But first, we must choose our loyalties – and so I ask the question again: Are you Assyrian? I admit, we are small in number. We have no military of our own….anymore. We have no real lobbying power in the United States (or any part of the Western world). We are not a wealthy people. There are even influential Assyrians working very hard to ensure Assyria will never materialize, and making strange bedfellows of Kurds. Iraq is a chaotic mess. As a matter of fact – if we sit and think of the friction, dissension, political and religious splits, and internal and external forces working to destroy our ethnic identity (and succeeding) it’s completely overwhelming - Assyria seems an improbable...no, impossible, goal. Well, my father always told me I like a good challenge. A small group of thoughtful citizens, we have. I have no interest in changing the hearts and minds of every Assyrian on this good Earth – that’s millions of souls, and the logistics of such undertakings is too daunting to even dare try. But there is a way to find, quite easily, a small group of thoughtful citizens to change the world, our world. By asking all of you this question: Are you Assyrian? To be fair, I’ll go first. When I was born, outside of Iraq, to Assyrian parents, I called myself Assyrian. When I was baptized a Christian, I remained an Assyrian. When I was raised in Western society, I called myself an Assyrian. When I am old, and dying, I will die an Assyrian. My surroundings may change, my religion may change, but I cannot change one thing – I am an Assyrian. I accept this, and I accept what it means. It means that I come from a lineage of greatness and of suffering. I am what remains from an ancient empire. I am from part of the first converts to the world’s largest religious faith. I don’t exist singly – but as a part of a nation that is not only unique in language and culture, but also the oldest one on earth. It isn’t an easy thing to live with – being Assyrian weighs heavy on my soul. I can choose to integrate easily into Western societies and disentangle myself from my history, and reject responsibility to the people remaining in Assyria and in the Diaspora – but it is not easy. When an Assyrian woman is raped or kidnapped, I feel it could have easily been me. When I hear about a father, brother, or sister beaten or tortured to death, I think of my own family. When I remember the genocides, massacres, and bloody history, I cannot turn away and feel no duty to those lives and honor the memories of those who fought and died before me. So I am not asking an easy question. My question is loaded. Because if you answer that you are Assyrian, you have attached yourself to this history. And like the French fought for France, like the Turks fought for Turkey, and like the Kurds are fighting for “Kurdistan”, we too have an obligation to our nation. We are being ignored. We are being disenfranchised. We are being raped, kidnapped, and murdered. We are being forced to flee our homes. So what can we do? We can scream from the top of our beloved Hakkari mountain range that this is OURS, we can turn to the Kurds, and the whole world, look them in the eye and insistently pronounce – “We, Sirs, are not going out without a good fight”. So answer this question for yourself. It’s ok to feel overwhelmed, frustrated, and angry – even at each other. Birth pains are difficult – but the end result wipes out the memory of our injuries, and we will be left with something that we will love forever – a land to call ours. We are, after all, civilizations very first nationalists. (ZNDA: Baghdad) On 7 April, the Mujahadeen Council, a leading insurgency group linked to al-Qaeda in Iraq, announced the killing of a Christian in Mosul "for offending the prophet Mohammed." In a statement posted to the Internet, the group, whose military arm is still headed by Jordanian militant Abu Musab al-Zarqawi, said that on Tuesday, 4 April it "eliminated" a Christian in Mosul. "We eliminated him, because this impure crusader offended our noble prophet Mohammed. We killed him in the al-Tahir quarter of Mosul" it read. (ZNDA: Baghdad) On 7 April, Shimshon Awisha (Abu Robi), a brother of David and Abbi Awisha, was murdered near the Assyrian Club in Dora district as he was heading home. In Dora these days, rows of homes sit empty and abandoned. The streets show signs of desperate attempts to craft barriers from palm tree trunks and rusty washing machines. And there are countless crude threats scrawled in black spray paint. Gone are the packs of curious children who often trail American soldiers and the clusters of neighbors usually found socializing outside on hot weekend afternoons. Dora was once a bustling community of about 500,000 Christians, Sunnis, and Shiites. But tens of thousands of Assyrians have already fled this and other predominantly Christian quarters of Baghdad and other major Iraqi cities. All sects in the area, once a close-knit, middle-class community of villas and smart shops, have been affected by the violence, U.S. soldiers say. At least one Assyrian church bears signs from a car bombing, and several mosques, even those in quieter parts of Dora, have concertina wire strung in front. Some have sandbagged bunker positions on their rooftops. The killer of Mr. Awisha last week stepped out from a car, walked towards Mr. Awisha, and shot him dead. (ZNDA: Baghdad) The authorities in the city of Kirkuk in north Iraq, in a gesture of goodwill toward the Assyrian residents, have renamed the Assyrian quarter, known as Alfayn Dar, to the "Ashur Quarter". There are some 2,000 homes in the "Ashur Quarter". Many of the names of the streets and quarters associated with the Baathist regime of the past are being changed in Kirkuk and other major Iraqi cities. Similarly, the Yarmouk Street in Kirkuk was also recently renamed the "Ishtar Street". The Kurds are pressing for as much power under a federal system and control of Kirkuk, a city that has some of Iraq's richest oil reserves and which is claimed by Kurds, Turkish-speaking Turkmen and Arabs alike. (ZNDA: Arbil) Two years after his first visit to Assyria, Ms Attiya Gamri returned to Iraq to inspect the situation of the Assyrians after the end of the Baathist reign of Saddam Hussein. Gamri was also interested to learn more about what the regional parliament of Kurdistan has done after the recent elections and to hear from the Assyrians about their human rights in the region where the KDP hold political power. Ms. Gamri, a member of the provincial parliament of Holland, visited the Assyrian Democratic Movement (ADM) offices and a few NGOs in the Nineveh Province. She also visited the Assyrian schools in Bakhdede, Bartille and Ankawa. Ms Gamri was surprised to find the books and classroom instructions in the Assyrian language, where the children read and write Assyrian in the western and eastern languages. A speaker of the western dialect, she spoke to the children in the eastern dialect. Ms. Gamri visited the Monastery of Mor Matay (St. Matthew) and spoke with the Bishop of the Syriac Orthodox Church, Mor Musa Bahzan. The church is protected by the ADM guards. The bishop told Gamri that he and his parishioners have received many threats, messages like: "Leave this country or we will kill you ". Ms. Attiya Gamri (center) on her visit to the Assyrian schools in the Nineveh Province. Gamri told Bishop Bahzan that "after a decade a new generation of Assyrians will be able to speak both dialects of the Assyrian language, thanks to the efforts of the Assyrian schools established and maintained by the Assyrian Aid Society and the Assyrian Democratic Movement (ADM)." Attiya Gamri met with Mr George Mansour, director of Ishtar TV and discussed the political role of Ishtar TV. She asked Mr. Mansour about Ishtar TV's lack of interest in the political situation of the Assyrians. According to Ms Gamri, the Kurdistan Democratic Party officers did not allow Assyrians on April 2 to enter Arbil, without any reasons other than stating that they were " Christians". Ms. Gamri explains that there is much discrimination against the Assyrians in north Iraq, yet nothing about this discrimination is shown on Isthar TV. Mr. George Mansour promised Ms Gamri that in the future they will work on these issues and told her that Ishtar TV has only been on air for 3 months and needs more time. When visiting Ashur TV, Ms. Gamri inquired about the threats the staff had received after the publication of the Prophet Mohammed's cartoon in a Danish newspaper. The staff at Ashur TV told Gamri that they were receiving 4 to 8 threatening phone calls every week. In Al Qosh Ms. Gamri attended the Kha b'Nisan celebration (Assyrian New Year), where more than 15, 000 Assyrians attended this festival. The security was provided by the American soldiers, helicopters and tanks together with the ADM guards. All schools were closed on this day, recongnized as an official holiday in the Assyrian calendar. Most political parties from the region attended the festival, and showed their respect for this national holiday. At the end of her trip, Ms. Gamri visited Mr. Fuad M. Hussein, Chief of Staff in the office of the President of Kurdistan in Arbil, and described what she had observed and heard from the Assyrians. ● The emergence of a new Saddam, namely Mr. Massoud Barzani and a new Tariq Aziz, namely Sargis Aghajan. Ms Gamri asked Mr. Fuad Hussein, whom she has known from the Netherlands, where he too was a member of the political party PvdA, what were his plans to resolve these issues. Mr. Hussein promised Attiya Gamri that he will take serious look at these issues and will discuss them with President Barzani and asked her to visit Mr Sargis Aghajan to learn about the positive developments. Ms Gamri attended a meeting with 21 NGOs in the Province of Nineveh, and asked each to collect facts about the human rights of the Assyrians in the province. "I need a report from every Assyrian village in the Nineveh province, on their counts, where, why and whom has been discriminated, and we need this every year" she noted to the NGO staff. Ms. Attiy Gamri speaks to the Assyrian associations and NGOs in the Nineveh Province. As Ms Attiya Gamri said on Ishtar and Ashur TVs, every Assyrian should visit Assyria during Kha b'Nisan to show solidarity with the Assyrians and give a signal to the Kurds and Arabs that the Assyrians in the Diaspora are the voices of the Assyrian men and women in Assyria. Ms Gamri's delegation included 3 Assyrians from USA and 1 from Canada. The Dutch journalist M. Vrij accompanied Ms. Gamri on her travels and has written reports about the human right situation of the Chaldo-Assyrians in the Nineveh province for the Dutch media. Ms Gamri spoke with two PvdA and CDA parliamentarians in the EU last week about the aggravated situation of the Chaldo-Assyrians. They promised to use her information for the resolution on Iraq. She will visit the European Parliament on 18 and 19 April, and will put forward the issue about the money the EU sends to Iraq, and how much of this money reaches Assyrians. During this unstable situation in Iraq the Assyrian delegation was protected by the ADM soldiers, Ms Attiya Gamri told journalists that she was shocked to witness the human rights conditions of the Assyrians in north Iraq. She also noted that she had hoped that their condition would improve after two years, but in fact it had deteriorated. She explained that there should be more political pressure from the EU and USA on the Iraqi authorities to resolve this issue. "After two years the right of Assyrians to have political autonomy, to practice their own religion and culture, and give education in their own language should be respected," said Ms. Gamri. Gamri continued: " If the human rights situation for the Assyrians was a measurement for the development of democracy in Iraq, the future looks bleak. If the discrimination and suppression of the Christian Assyrians by the Kurdish authorities continues, we must be prepared to see the last Christians in Iraq revolting en mass. The discontent is great, and the Assyrian youth doesn't have much patience left." (ZNDA: Baghdad) Attendance is booming at the Rev. Andrew White's church as more Iraqi Christians seek solace in religion to cope with a life of car bombings, kidnappings and deprivation. Every month "Canon White,'' as he is known here, travels to Baghdad to minister to the faithful, including Western Protestants and Iraqi Assyrian Christians - who must be bused into the U.S.-protected Green Zone to hear him preach after al-Qaeda put a price on his head. Over the past three years, the number of Iraqis attending his services has grown to about 900, said the 41-year-old British Anglican priest. "People turn to religion when they are desperate,'' White said in a Green Zone coffee shop after conducting three Easter services. The apparent Christian revival takes place against a backdrop of resurgent Muslim religiosity. Sunni and Shiite Muslim deaths are mounting daily in sectarian violence and there is massive attendance at both Shiite and Sunni services. The tall, bespectacled cleric began visiting Iraq regularly in 1998, and he has witnessed profound changes since then. During those early visits, he would preach at St. George's Anglican Church, an arrangement facilitated by Deputy Prime Minister Tariq Aziz, the most prominent Christian in the national leadership and now a U.S. detainee. Under Saddam, White said he found a more secular society where tensions between religious groups seemed nonexistent. But over time he began to realize that divisions were there - Iraqis were simply too terrified to speak frankly. White recalled receiving a dinner invitation from Odai Saddam Hussein, Saddam's most ruthless son. He declined, but the man delivering the invitation began to weep, pleading him to accept. Otherwise, Odai would kill the messenger, White said. On 24 April, 92 years ago, a decision was taken to wipe out the Assyrians in the Turkish region of Assyria. 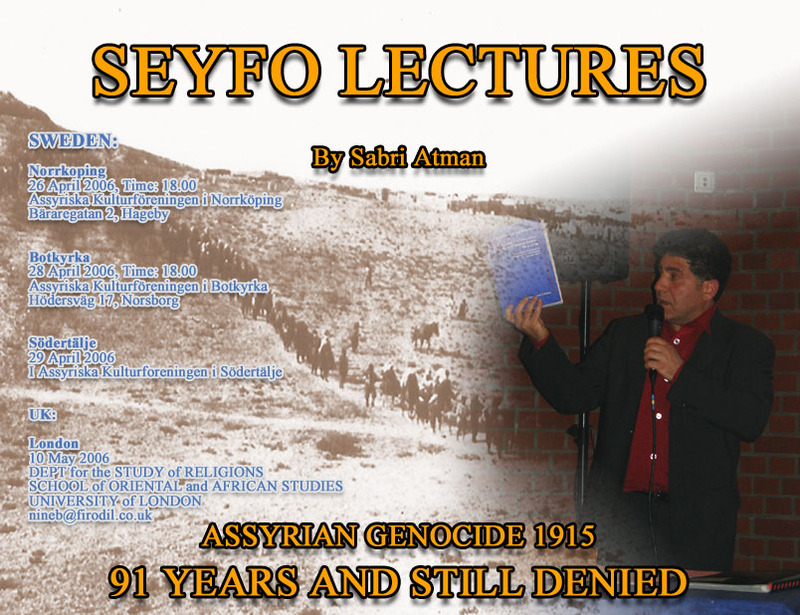 Assyrians, every year, hold a memorial day on 24th of April to commemorate the Genocide of 1914–1919 known among the Assyrians as the “Seyfo”. This genocide was a continuation of similar acts carried out by the Turks and the Kurds in earlier times, against the peaceful and unarmed Assyrian people. Over 4 million Christian citizens of the Ottoman Empire were killed or deported between 1915 and 1923. The genocide of the Assyrians, Armenians and Greeks is known among Assyrians as the Seyfo Genocide referring to the Sword of Islam (Seyfo is Sword in Western Assyrian language). Two out of three Assyrians perished during this period. It was the obligation of the Ottoman Empire to protect the Assyrians and not to annihilate them. Instead a genocide was committed which almost eradicated an entire ethnicity, creating more than half a million martyrs and put tens of thousands to march towards uncertainty. The Turkish state today, the true successor of the Ottoman Empire, is denying the genocide against Assyrians. The leaders of the Kurdish parties, who claim to represent the Kurdish people, are also carrying out the same denial policy. Both Turks and Kurds are responsible for the genocide against the Assyrians and they are the reason for the complete destruction of the Assyrian society and its social, political, cultural and economical aspects. The European Union's negotiations on the acceptance of Turkey's membership is totally at odds with the European Union's basic belief in democratic norms and humanitarian values. As Assyrians we strongly believe that the EU will not disregard our rightful claims despite the strong political and economical reasons for the EU to accept Turkey as a member. That Turkey recognize and apologize for the genocide against the Assyrian people. That Turkey is tried in the International Court in the Hague and other courts dealing with the International Rights and genocide issues. That Turkey amend its constitution to include Assyrians as an indigenous minority with rights to live in their ancestral lands. That Turkey amends its educational systems to give accurate and relevant information on Assyrians. That Turkey compensate the Assyrian people economically and grant them the right to create a memorial site for the victims of the genocide in a place selected by the Assyrian people. That Turkey return the confiscated properties of the Assyrians. That destroyed villages, towns, churches and monasteries be rebuilt and that places be renamed with their true historical names. This applies even to property confiscated prior than the war between Kurds and Turks. That Turkey grant Assyrians the right to return under the supervision of the EU. That the "Treaty of Lausanne" from 1923 be amended to include Assyrians as a minority and that the treaty be further amended to fulfill the Copenhagen criteria. That Turkey stop the illegal usage, sale and expropriation of the Assyrian property and return the Assyrian properties to village guardians or village chiefs, as is the case today. Governor Arnold Schwarzenegger proclaims 23-29 April as the Days of Remembrance of the Armenian Genocide, overlooking the death of over one million Assyrians and Greeks. (ZNDA: Sacramento) Arnold Schwarzenegger, governor of the State of California, has proclaimed the week of April 23rd through April 29th as the Days of Remembrance of the Armenian Genocide. In recognizing the Genocide, he urges all freedom-loving people in America and around the world to do the same. 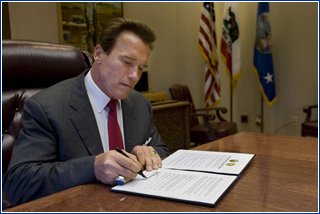 Mr. Schwarzenegger's proclamation unexpectedly overlooks the killing of hundreds of thousands of Assyrians and Greeks during the same cataclysmic event and makes no mention of any victims other than the Armenians. 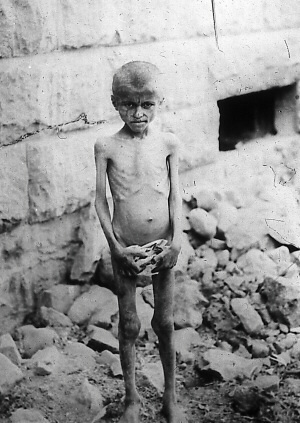 The Genocide of 1915, known among Assyrians as the Seyfo Genocide, was the Twentieth Century's first genocide in which two out of every three Assyrians perished due to mass killings, deportation, cold, and hunger until 1923. 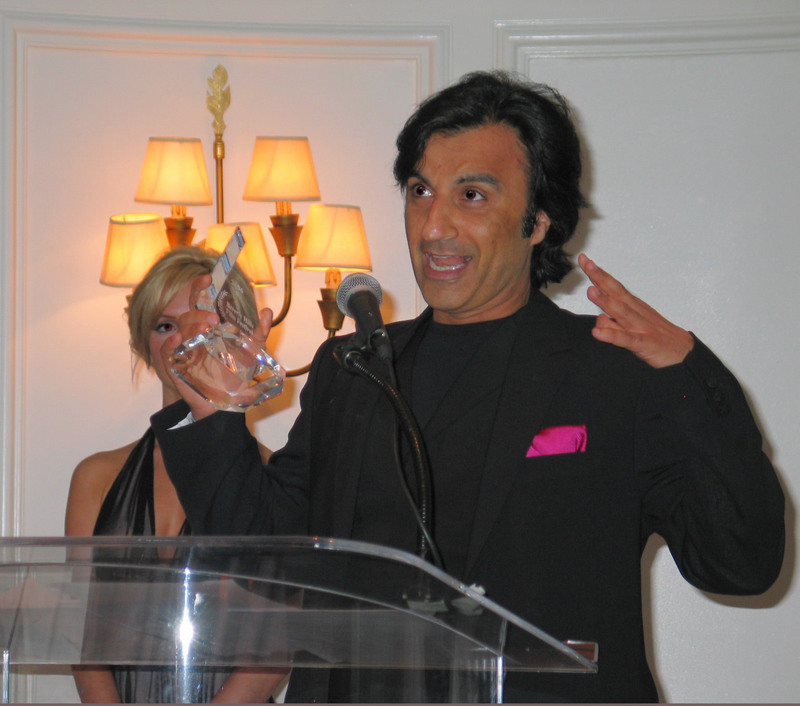 An emotional Nuri Kino accepts the prestigious "Golden Palm Award" at the 6th Annual Beverly Hills Film Festival on 9 April for Best Film in All Categories. At this year's Beverly Hills Film Festival (BHFF) 40 films were competing. The Festival, under the direction of Nino Simone, kicked off with the World Premiere of “Verso La Luna Con Fellini” (“Towards the Moon with Fellini”) on April 5th, at the Writers Guild Theater (135 South Doheny Drive) at 7:00 p.m. The Festival culminated in the Awards Night Gala held at the Beverly Hills Hotel (9641 Sunset Blvd.) on April 9, 2006. The Jury members included Mark Amin, chairman of the Lions Gate Films; Laura Lucio, Emmy Award-winning journalist; John Daly, producer (“The Last Emperor,” “Platoon”) and director (BHFF Golden Palm winner of 2005, “The Aryan Couple”); Arlene Donnelly Nelson, director (HBO’s “Naked States”) and cinematographer (“A Mighty Wind”), Lawrence Kubik, film producer; and Steven Paul, Crystal Sky, CEO and president. The BHFF Jury judged for the following categories: Golden Palm Award (best film in all categories); Best Feature; Best Documentary; Best Short Film; Best Director of Photography; Best Editor; and the Golden Palm Screenplay Competition Award. Audience Choice Awards include Best Feature; Best Documentary; Best Short Film; Best Director; Best Male Performance; Best Female Performance; Best Producer; Best Screenplay; and Best Animation. Nuri Kino is an award-winning Assyrian investigative journalist from Sweden who has worked on other film documentaries, chronicling the modern history of the Assyrians. The third episode of "Assyriska..." in a five-part documentary, shown twice at the BHFF, chronicles an Assyrian soccer team from the Swedish city of Södertälje as it achieves international stardom while also pushing Swedish and Turkish governments to recognize the “forgotten” Assyrian Genocide of WWI (click here). It gives me great pleasure to send my best wishes to all those attending the Assyrian New Year Festival. As the Assyrian Australian community celebrates the New Year, with its symbolic meaning of the regaining of new life, we pray that the new year will be a prosperous time for all. The festivities provide a great opportunity for families and friends to embrace the Assyrian culture and honour this ancient tradition. The Assyrian New Year Festival is also a time to reflect upon the Assyrian Australian community’s considerable participation in Australia’s cultural and economic achievements. Australia is a home to people from many different backgrounds, united by mutual respect and a common commitment to fairness and democratic values. Cultural diversity is an intrinsic part of the Australian society and a unifying force for our nation. Events such as this festival and the efforts of the Assyrian Australian community contribute to the pursuit of these important goals. I commend the Assyrian Australian Federation for their efforts in fostering a better understanding of the diverse traditions that enrich Australian society. I would like to take this opportunity to wish all attending the Assyrian New Year Festival hope for peace and prosperity in the new year. Our Syrian people, with all political and national components, succeeded in liberating their country from the French colonizers and forcing them to evacuate; achieving full independence in the 17th of April 1947 . This has been accomplished because of the great struggle and sacrifices, as well as solidarity and unity of the Syrian people in confronting one of the toughest colonial powers in the 20th century . Our Assyro-Syriac-Chaldean people, side by side with their Kurdish, Arab and Armenian brothers and other components of the Syrian society, played a significant role in achieving this independence . To mention but few names, known for their great patriotic spirit and resistance to the French occupation, we quote here the names of Patriarch Afram Barsom, Bishop Keriakes Tanourchi, Khouri Malke Afram and deputy Saeed Ishak, as well as many others who played a great part in resisting the occupation and foiling their plans and further laying the foundation for the national government. Our founding fathers, in the course of their struggle, worked hard to consolidate the values of freedom, justice and equality, and build a modern state for all the citizens, dreamt to make their country a model to be followed in the region. But the successive political elites after the independence were unable to enhance the values and ideals of independence and failed to achieve the national objectives, on top of these, building a secular, democratic system capable of transforming the country onto the age of modernity and growth. All these happened because of the subjection of the country –with few exceptions -to a revolutionary, totalitarian and ideological regimes that restricted freedoms, stifled the society and obstructed progress . Sixty years after the independence, Syria is still suffering from political repression and the continuation of the state of emergency. The prisons are still full of political detainees, whereas poverty and unemployment is prevalent, the economic conditions are steadily worsening, and corruption is widespread. All the empty slogans that have been reiterated in the past years not only have failed to curb the situation from getting worse, but also have disregarded, sidelined the national issues and marginalized the role of the citizen in the society. Consequently, this policy has weakened the national bond and further stimulated sectarian and religious affiliations that has given way to confrontations and crises in the society whose clearest manifestations appeared in the bloody and serious clashes that has happened lately throughout the country. No doubt, Syria is now at a very serious crossroad, and in order to safeguard its stability and independence, she is in need of a new approach, capable of dealing with the internal and external challenges and this can only be achieved by returning to the values and principles of the independence and leaving behind the totalitarian mentality that has stifled the society’s potentials and has excluded people from political participation and active public life . But before this, the national unity should be restored and priority should be given to the Syrian national identity as a unifying factor that would bring together all the people with their diverse religious and national affiliations. This should be constitutionally acknowledged, in addition to the recognition that the Assyrian Syriac Chaldean people are an indigenous component of the country . Only this can safeguard the independence and the liberation of our occupied lands, build a new Syria, a final homeland for all its people and achieve progress and prosperity. Finally, on this occasion we extend our congratulations and best wishes of prosperity and well-being to the Syrian people. (ZNDA: Sydney) Ashur Audisho's young life was cut short before he could marry and start a family of his own. So his funeral on 12 April was not only a show of grief but, in keeping with Assyrian tradition, a celebration of the wedding he never had. Small wrapped sweets were thrown towards his coffin, and his father Arem and older brother Sargon waved white kerchiefs above the crowd as his coffin left the church. Mr Audisho, 21, from Greenfield Park, was gunned down in an attack at Fairfield on Sunday night, the 9th of April. About 600 mourners from the Assyrian community attended his funeral at St Zaia Cathedral in West Hoxton. World with no sun … mourners weep at the funeral of Ashoor Audisho as his portrait is held aloft. Throwing sweets and flowers onto the casket as it was carried from the church symbolised Mr Audisho's marriage to God and heaven, as he could not marry and raise a family in this life. Mourners heard that Mr Audisho, as a child, had left war-torn Iraq with his family, moving to New Zealand and then to Sydney in 1999. Police from Task Force Gain were at the church. NSW detectives visited shops and community centres in Fairfield, asking for security camera footage from Sunday night's incident. The fatal shooting has divided the city's Assyrian population, who fear the killer may be being protected by elements within the Assyrian community itself. Ashur Audisho was gunned down after arguing with three men. 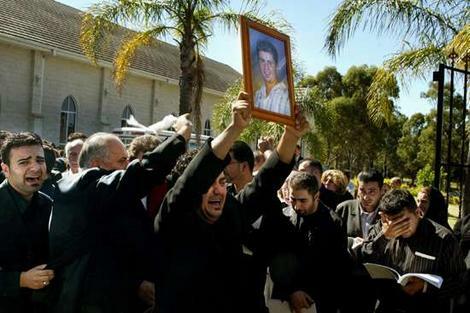 His father is a respected poet in Sydney's Assyrian community, offered a poem farewelling his son to the 1000 mourners. Police believe an Assyrian crime syndicate, known as the Dlasthr gang and allegedly led by fugitive Ramon Youmaran, 27, may be linked to the killing. The Dlasthr gang, whose members wear a distinctive clenched fist tattoo on their backs, has also been linked to a shooting murder at the Babylon Cafe in Fairfield in October last year and a 2002 murder outside a Sefton hotel. Mr Youmaran himself narrowly escaped a police operation just seven weeks ago. Police saw Mr Youmaran in the passenger seat of a green Mercedes Benz and pursued the car along two of Sydney's major motorways, until fears for public safety forced them to abandon the chase. "People are afraid to tell where he is because they might end up dead, just like Ashur," said one woman, who asked not to be named. Members of Ashur's family insist he was not involved in any gang activity. "I hope it won't be that he was killed by an Assyrian gang," Ashur's cousin Sharlin Audisho said. 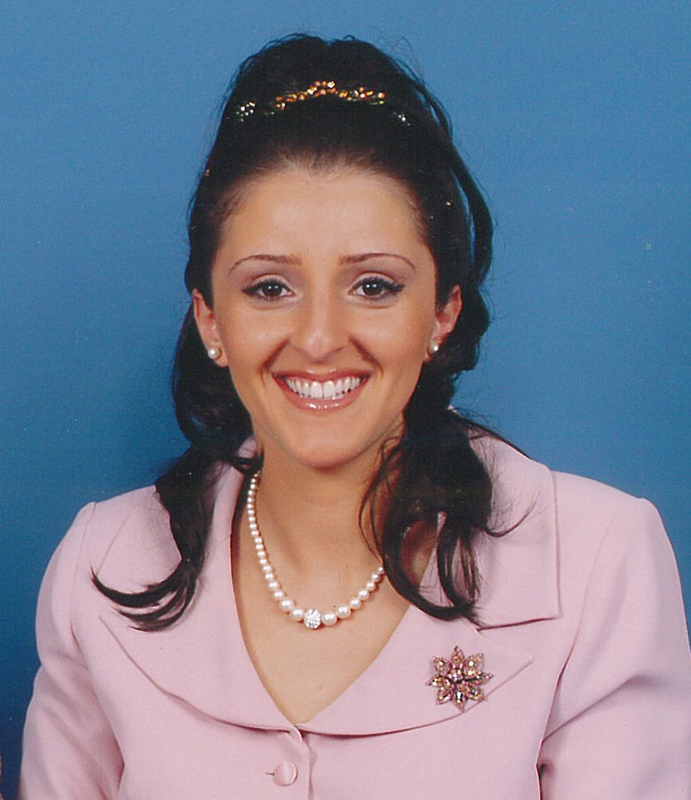 "We Assyrians ran from Iraq to have a good life in Australia and now they turn on each other." Police said Ashur, whose family fled the country in 1991, had no criminal record and was not carrying a weapon. "Unfortunately, it was a really beautiful funeral," one of Ashur's cousins, Sharlin Audisho, said. "All the friends stood by and everyone put a rose on his coffin. As good as it was, it was a really sad occasion. Unfortunately, we lost him, because he was such a good person." Ashur, from Greenfield Park, moved to Sydney in 1999 when he was pursuing a dream of becoming a disc jockey. He joined the Holy Apostolic Catholic Church of the East at Saint Zaia a few months ago and was a popular member of its youth group. His father, Arem, said at his funeral that the world had been thrown into darkness after his son was killed. Mr Audisho read a poem entitled Life Without You to a packed congregation at the Saint Zaia Cathedral. Mourners at the funeral crowded into doorways or listened from outside as Mr Audisho said that there was no sun or moon in the family's lives without Ashur. "Wherever we go, we call your memories, we call Ashur, yet we have no reply," an English translation of the poem read. "Every door we open, we find your beautiful face, we come to hug you, yet you disappear." Dozens of Ashur's friends, many wearing his name on a black armband and carrying a single red rose, surrounded his coffin as it was led from the cathedral after the service. Other family and friends followed the coffin, openly weeping, as it was driven to Forest Lawn Cemetery in nearby Leppington for burial. 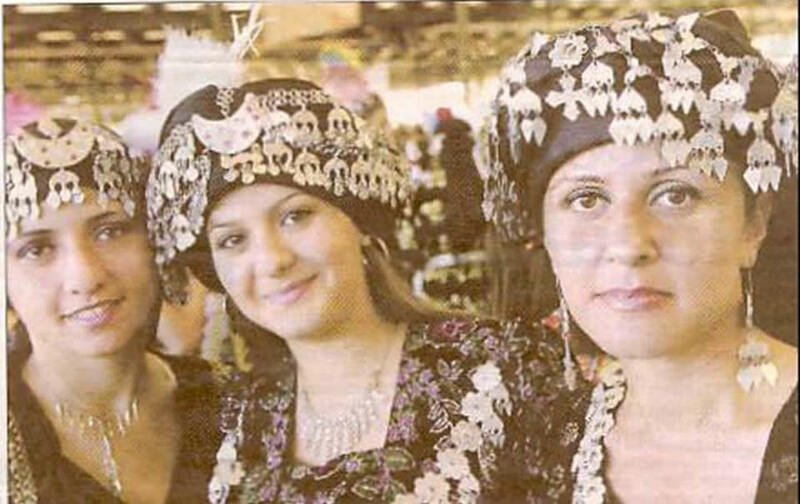 From Left: Rasha Yousif, Ramina Bityou and Atour Georges enjoy the festival as part of a youth dance. Photo by Dave Swift. (ZNDA: Fairfield) A crowd of 7000 to 8000 people turned out for the Assyrian Festival at Fairfield City showground on Sunday, April 2nd. Hermiz Shahen, secretary of the Assyrian Universal Alliance's Australia Chapter, said the day had been a great success and had provided the perfect opportunity for people of an Assyrian background to celebrate who they were. “It is something that binds you to your past and your history,” he said. He said the festival was a way of recognising the contribution Assyrians had made to Australia and of calling for freedom for those still living in Iraq. He said representatives of the federal and state governments and opposition parties spoke on the day. The event included entertainment from singers, dancers, choir group, and musicians and culminated in a fireworks display at 8pm. “The young people were dancing together and stamping the ground. It was really good,” Mr Shahen said. Mr Shahen praised police officers that attended the day and said that because of their hard work there was no trouble. “I’d really like to make the point that the police did a great job,” he said. We all take pride in having a very unique and rich history that has, and continues to play, a major role in shaping our lives. 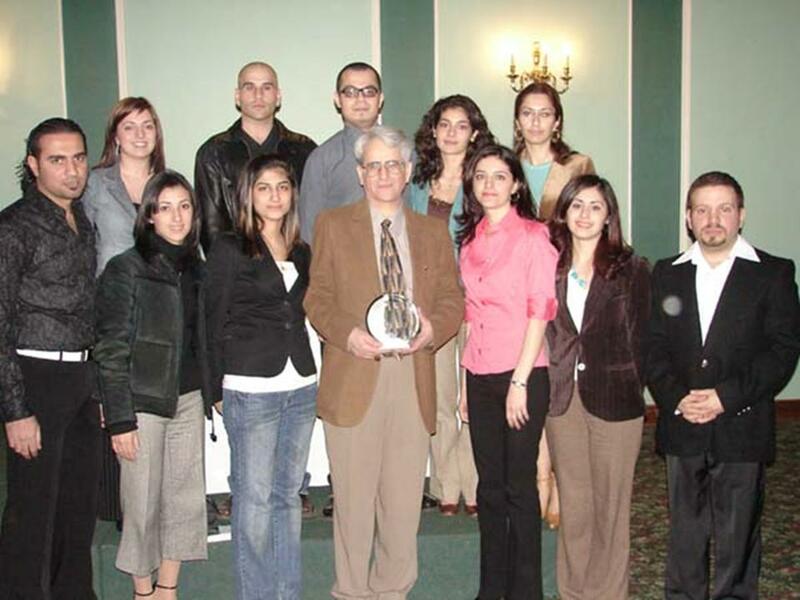 We, at the Assyrian Chaldean Syriac Student Union (ACSSU) of Canada, understand how crucial it is to be aware and knowledgeable of that history in order for us, as a nation, to construct informed views regarding our present and to build a brighter future – particularly in light of the issues facing our nation today. This realization led ACSSU, in conjunction with the Assyrian Society of Canada, to begin organizing a series of lectures covering various topics pertaining to our people. The choice for our inaugural lecture was none other than one of our very own esteemed professors, Dr. Amir Harrak, who warmly, and kindly, accepted our invitation. Dr. Harrak is an Associate Professor of Aramaic and Syriac in the department of Near and Middle Eastern Civilizations at the University of Toronto. He is very enthusiastic about what he teaches and very knowledgeable in his field. The evening started with a short speech by ACSSU President Alda Benjamen welcoming Dr. Harrak and the attendees and thanking the Assyrian Society of Canada for supporting us. Following that ACSSU Media Advisor, Alhan Oraha, read a short background about Dr. Harrak, which introduced both the audience to him and highlighted his achievements. As one of Dr. Harrak’s students, Ms. Oraha was delighted to have the opportunity. Ramen Benjamin was the Master of Ceremony of the evening. Prof. Harrak included several colophons; notes written at the end of a manuscript describing events occurring at the time they are written, and a very detailed book explaining Kurdish grammar and Biblical passages written in Syriac. Dr. Harrak also emphasized that our language had survived all hardships and it is shameful for us to begin to lose it now. He also asked our youth to pursue careers in teaching Syriac history to be able to academically pass the torch down to the following generations. After the lecture, a question-and-answer period allowed some of the audience to raise some very interesting questions, in turn answered by Dr. Harrak. 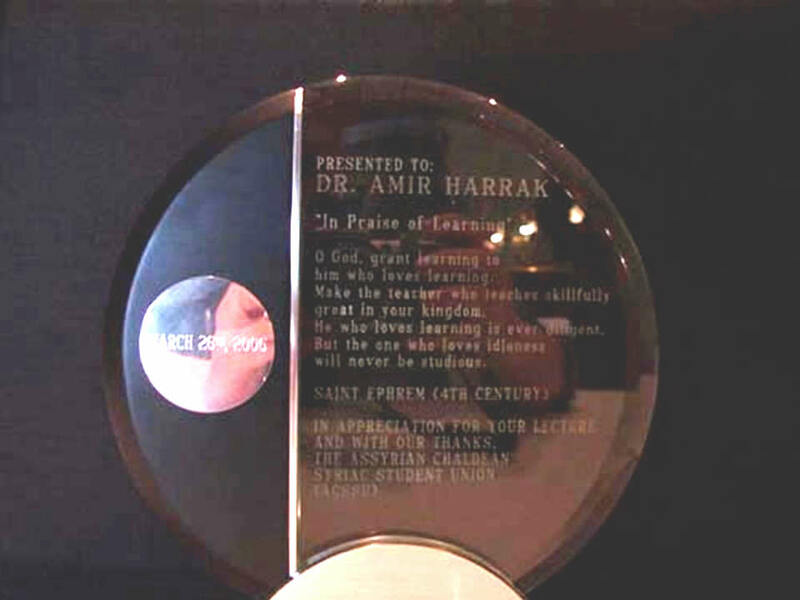 "Presented to Dr. Amir Harrak..."
The impressive turnout and appreciative attendees were just further motivation for us to work even harder to serve our objectives in encouraging education, awareness and enlightenment of our culture, so rich with history and pride. On the occasion of Easter, the Assyrian Democratic Organization extends its warmest greetings and congratulations to our Assyrian Syriac Chaldean people in the homeland and in the Diaspora, as well as to our national and religious establishments, wishing all success, happiness and well being. It further extends special congratulations and appreciation particularly to our people in the bleeding Iraq, who despite the difficult and hazardous circumstances, they are still celebrating Easter as they celebrate, with their brothers and sisters all over the world, the First of April, challenging all forms of killing, kidnapping and terrorism, reaffirming their adherence to their ancestral lands and the homeland and sacrificing all for their existence and freedom. Once again we congratulate our brothers and sisters on the occasion of this happy Easter, hoping that our people and establishments would draw from its symbolism represented by the pains, death and the Resurrection of Jesus Christ, as well as the meanings of sacrifice, love and hope, lessons and examples of unity, unity of stance and struggle for the sake of protecting their identity and legitimate rights on their ancestral homeland under a system based on democracy, freedom and the laws of human rights . Happy Easter and best wishes to all our people. (ZNDA: Afghanistan) As he walked from San Francisco's Ferry Building into the heart of the bustling downtown, Sargon Heinrich was still getting used to the feeling of freedom. Freedom to walk past a white car without worrying that it would suddenly explode. Freedom from ubiquitous men carrying AK-47 assault rifles. Freedom to stroll down the street, drinking in the dust-free air, talking to whomever he chooses. Oh -- and freedom from a Kabul jail cell, where the Bay Area entrepreneur -- who just turned 41 -- spent nearly two months before being acquitted of gun-smuggling charges he believes were a thinly veiled kind of extortion. Sargon Heinrich, born in Chicago to a German father and an Assyrian mother. Photo by Mike Kepka. Now -- after surviving repeated interrogations, two trials and one bad night when Taliban prisoners came looking for him with sharpened sticks -- he's back at work, meeting with investors to prove he's still both alive and sane and getting ready to leave in a few weeks for a big overseas business trip. Right back to Kabul, where all his troubles began. "I'm back there in 20 days," he said. "Success for my partners, success for myself is going to be my best revenge for what came to pass." But it's more than personal success Heinrich seeks. He sees his work overseas as a partner in a construction firm employing hundreds of Afghan workers as not just a profitable venture, but an essential part of the struggle against terrorism -- fighting hatred with opportunity. "When people have food in their stomachs, they don't get filled in the mosques with all kinds of venom," he said. "Afghanistan is so much closer to where we want it to be than people think. It just takes a little, little more effort." To Heinrich, returning to Kabul is not just a business trip -- it's a continuation of a professional and personal odyssey rooted in his childhood. He was born in Chicago to a German father and an Assyrian mother who named him for the ancient ruler of a broad swath of the Middle East. His father, at one point dean of students at UC Riverside, took a job at San Francisco's Bechtel Corp., and the young Sargon spent part of his youth in places like Saudi Arabia, Iraq and Dubai. 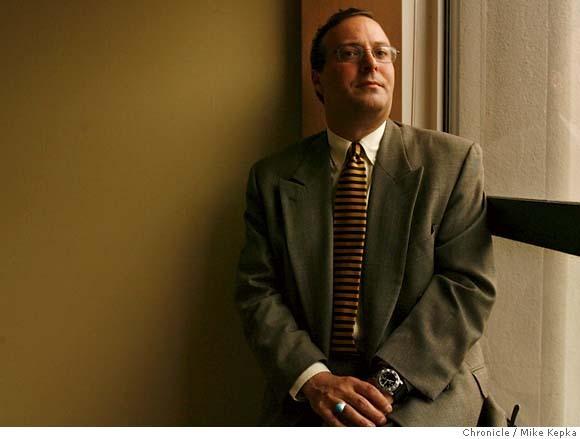 Moving to the Bay Area in 1984, Heinrich earned a bachelor's degree in political science and economics at St. Mary's College in 1986 and a master's in organizational development at the University of San Francisco in 1988. Around the same time, he followed his father's path to Bechtel, where he spent 13 years -- once filling up two passports in one year, and moving to Kuwait after the first Gulf War to spend two years working in reconstruction and troubleshooting. When he left Bechtel in 1998, Heinrich took with him a long and varied resume and a conviction about the role U.S. businesses like Bechtel could play in the world. "I have a very core belief that business has to be a force for good," he said. "I call it the rubber-band effect. ... When one part of the world has progressed so far and another part has not progressed at all, that rubber band is either going to pull the backward people forward or it's going to pull the forward people backward." Heinrich didn't get into that kind of business right away. He started a software company that he sold in 2001, and launched a holding company with diversified interests in media, high tech and retail. But by the end of 2001, tired of dealing with lawyers, Heinrich's interests returned to the basics. At the same time, the Sept. 11 attacks returned his eyes to the link between commerce and international relations. He decided to get to business in war-torn Afghanistan. "This is a four-pronged battle in Afghanistan," Heinrich said, beginning an explanation he offers with the ready words of frequent repetition. "You've got the military side, which is a battle in itself for security. You've got the political side, which is a battle to keep a fledgling democracy going. ... There is an economic side, in which you're trying to build businesses so that people actually have futures and hope. And then there's a social side. "I characterize myself as taking on the economic side." At the time, a lot of the business in Afghanistan was big contract work, Heinrich said -- huge reconstruction projects financed by the U.S. Agency for International Development. Heinrich wanted to try a different tack. "I said, ... 'I'm going to go to Afghanistan, I'm going to invest in a small company and I'm going to build a pure Afghan company, with the idea being I can leave in two years and it will last forever and employ a lot of people.' "
It seemed like a good plan. 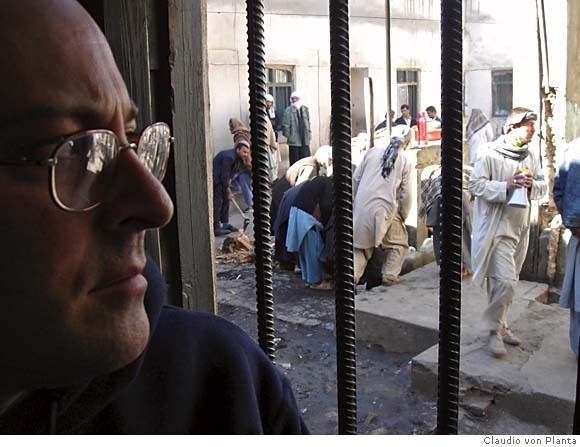 But the reality of Kabul when Heinrich arrived in February 2004 -- to a welcome wagon of guards rushing to dress him in body armor at the airport -- seemed daunting. "I've lived and worked in 162 countries. And I've never seen anything like what I saw when I landed in Kabul," he said. "It's destitute and (has) a real medieval feeling. Like going back in time. That was my first impression." Afghanistan seemed a country broken by 40 years without hope, Heinrich said -- a place where everybody seemed to be worried only about what they could get from you here, now, and forget about the future. It was an impression quickly counterbalanced, he said, by his new business partner, Habib -- for security reasons, Heinrich declined to give his partner's last name or the name of their company in Afghanistan. "When I met him, I was really just bowled over by the enthusiasm," he said -- and impressed by the maturity his new partner showed despite his mere 25 years of age. "I could see he had really moved far from hauling gravel in the back of a rented car and selling it, to building a drywall company to starting a construction company," Heinrich said. "He was the only person I ever met who reinvested in his company. ... I got to see the opposite side of Afghanistan." For a while, Heinrich said, things went great -- tapping back into his experience with startups and reconstruction, he and Habib soon landed contracts ranging from constructing the interiors of Kabul's first five-star hotel to building bases for NATO and private security firms. The work quickly employed 120 Afghans and was soon profitable, with some fat contracts -- like the one in October that brought in a $250,000 deposit to a Kabul bank. Two days later, Heinrich said, 40 armed men -- police, about half in uniforms -- burst into the hotel restaurant where he was sitting down for a game of dominoes with fellow expatriate businessmen. Sargon Heinrich spent nearly two months in a Kabul prison, before being acquitted of gun-smuggling charges. Photo, 2005, by Claudio Von Planta. "None of them had badges," Heinrich said. "And they started rounding everybody up and beating the hell out of them. ... I had a gun put in my mouth. It was a pretty rough night." It wasn't clear what the men wanted, Heinrich said. One asked him where the guns were, and he handed over a holstered pistol that a U.N. pilot had insisted Heinrich take after an incident in Iraq where a helicopter was shot down and the survivors killed. "Is this it?" they asked. "That's it," he said. They took him away. "We were brought in and interrogated for three days where nobody knew where we were," Heinrich said. "Three days in a police station, interrogation rooms, sleeping in a chair, handcuffed. It wasn't pleasant." Then came the demands for money for his release, beginning with a demand for $250,000 -- a figure he found to be an interesting match to his company's recent deposit -- then lower figures. Heinrich said he refused to pay, telling the police he was a "nonperforming asset" best divested. "I couldn't live with myself if I had paid," he said. "What kind of example am I setting for the company that we're trying to build if I had paid?" Eventually, the international community -- law enforcement, business associates, the embassies -- learned where Heinrich was being held along with three other businessmen, two Englishmen and an Indian. But the U.S. Embassy in Afghanistan -- which declined to comment on the case, citing federal privacy laws -- was in a difficult situation, he said. "I always sympathized with them," he said. "They didn't know if I was guilty or not guilty. ... They weren't there to get me out of jail." Still, as days stretched into weeks, there were times he wondered if he could hold out. The other prisoners were beaten and interrogated with electric shock, he said, and he narrowly escaped being killed by a group of Taliban prisoners who came for him two days before his trial, beating on his door with sharpened wooden sticks. Finally, after 56 days and two trials, the charges against Heinrich were dropped for lack of evidence by a judge who chastised the prosecution for legal errors and illegal detention and said he was taking the expatriates' goals of helping Afghanistan into consideration. But to be freed, Heinrich was told, an Afghan would have to provide his bail until the prosecution decided if it would appeal. Habib, his young partner, and Habib's family combined their property assets for the bail, he said. "They take you being their responsibility very seriously. They consider me part of the family," he said. "On multiple occasions, (Habib's) 87-year-old father requested that he be put in jail and have them let me out." The three men incarcerated with Heinrich received suspended sentences and fines for possessing unlicensed firearms and reportedly have been released. Heinrich is scheduled for a final appearance before Afghanistan's Supreme Court in May to make the acquittal permanent, he said -- a court date he plans to make, partly to ensure that Habib's family does not lose his bail. In the run-down prosecutor's office near Kabul's chaotic central courts, Heinrich's prosecutor, Haji Bahlol, insisted that his original case was strong and legitimate, but added that while the case remained with the appeal court, he expected Heinrich to remain free. "I suggest that in the case of Heinrich they will forgive him with the time that he has already served for possessing a gun illegally," he said. "I think that because of their relationship with the international community, the court has asked for them to be released." Even without the legal issue, Heinrich said, he would return to Afghanistan. For despite the danger and scorn from those who decry Bechtel and its like as war profiteers, he believes that U.S. business can help defuse global tension. "We're in a struggle that is global, and it really affects every American. Every person I employ is another person that is not going to pick up arms against American soldiers," he said. By the end of the year, he hopes to double the number of Afghans his companies employ to 800. It's a struggle, Heinrich believes, that cannot be waged with mailed checks and phone calls, but has to be waged with boots on the ground -- boots belonging to soldiers, civilians and entrepreneurs. "There's a lot of mothers and fathers losing their children in Iraq and Afghanistan. They have to sacrifice. There are a lot of people who aren't these big mega 'war profiteers' who are investing there. There are a lot of Afghan Americans who are going back there and risking their lives," Heinrich said. "We all risk. It's a question of what we risk for." (ZNDA: Chicago) Yousip Bet Rasho has never seen "American Idol." The Chicago-based singing competition "Assyrian Superstar" that he executive produces was inspired by "Lebanese Superstar," which he saw during a visit to Beirut in 2004. For years, Rasho -- director of Chicago's Assyrian Media Center -- has promoted local musicians but had difficulty cultivating a new generation of Assyrian singers. "This is going to solve the problem," Rasho says he thought after visiting Beirut. "We had to push the singers to do something new." Like Britain's "Pop Idol" and its across-the-pond sister, "American Idol," "Assyrian Superstar" pits contestants against one another in front of voting audiences and three judges. All the songs are performed in Assyrian, a modern version of Aramaic, the language scholars say Jesus of Nazareth spoke. For Assyrians -- predominantly Christians from modern-day Iran, Iraq and Syria -- Chicago is "Hollywood," says "Superstar" executive producer Ather Daniel Yokany. Rasho says there's even an Assyrian saying: "If a singer can't make it in Chicago, he can't make it anywhere else -- not even back home in Iraq." Though 14,000 Cook County residents checked "Assyrian/Chaldean/Syriac" on the 2000 Census, community leaders estimate the population to be as high as 100,000. Chicago has produced some of the most famous Assyrian singers, including Sargon Gabriel, often called "the Assyrian Elvis Presley." "The Assyrian Superstar Committee was founded really to preserve and protect the Assyrian culture worldwide," Yokany says. "The Assyrian song contains our music, poems, the unique rhythms . . . and we're losing that." Finals will be held on Friday at 7 pm at the Assyrian National Council at 9131 Niles Center Rd., Skokie. Tickets: $20 at the door. The winner will be announced at a final show May 27, at the Donald E. Stephens Convention Center in Rosemont. For more information: www.assyriansuperstar.com. The AUA sponsored conference in Holland ended with no significant new policy about the desire to find a common ground for reconciliation. A lacking wisdom to capture the moment we are all patiently expecting to hear. Instead, they broadened the walls of hatred and division by their uneducated guess of the situation on the ground, in Iraq. During difficult times like today, when our nation is going through intense dangerous situations, we should never abandon the opportunity to restore peace and confidence long disappeared from our homes, despite our known disagreements. It would be appropriate at this very sensitive moment to mention some words from the holy bible “ Not all who said my lord will enter his kingdom, but those who obey, adopt and respect the word of God” This sentence must be the common rule in the performance of our national duty. Honesty, mutual respect, unity and dedicated service, is the only common avenue for our salvation. A condition that any candidate must carry for election. Our leaders should have the capability and patience to tolerate each other’s views and concerns in order to overcome their personal, political, and religious inclination. In any known time, disagreements have never benefited our people, except adding new hatred and division among our families. They should stop any argument that will lead this nation to more isolation and upheaval. Leadership can’t be purchased or imposed upon, it must be earned through a lot of hard work, honesty and dedication. A good leader is the choice of his people, and must be legally elected. We need universal condemnation of every person, every political party, Church leader, who is working against the will of the people. No one has the mandate to speak for our ChaldoAssyrianSyrian people except their legally elected representative in the Iraqi Parliament, Mr. Younadam Kanna. We must rise to the level of responsibility and speak the truth. The past should be put to rest, we have inherit new situations that are imposed on us by the current developments in Iraq. It is a time to act wisely and honestly, focusing with clear conscience, and recognizing the reality on the ground. We must stop talking, rid ourselves from repeated mistakes, stop being hypocrites, and expose whoever is working to compromise the interest of our Nation. History is watching us, we will have to answer to our grand-children should we fail to do our homework today. It is the best opportunity that presented itself in our life time, we must never mislead our conscience. We are smart people, we can do better, only, if we accept the wisdom to forget and forgive each other. It has been over a decade since His Grace Mar Bawai Soro visited Australia. Despite a busy schedule and ongoing challenges we are pleased to host His Grace over three exciting weeks between 21 April 2006 until 10 May 2006. The Committee in Solidarity with His Grace in unity with our brothers and sisters from the Holy Apostolic Ancient Church of the East have organised a full program including Raza Qadeesha (Holy Mass), lectures, sermons and functions upon the arrival of His Grace in Sydney. His Grace Mar Bawai Soro is currently visiting Australia between April 20 and May 10 and is meeting with members of the Assyrian churches in Sydney. Arrival: On Friday 21 April 2006 His Grace Mar Bawai Soro arrived in Sydney. Supporters of His Grace greeted him at Sydney International Airport (Terminal Two) at 9am upon his arrival. Easter Mass: On Sunday 23 April 2006 at 8am His Grace will celebrate Easter mass at the Holy Apostolic Ancient Church of the East in West Hoxton, Sydney. For details on Church location please visit www.stzaiacathedral.org.au. His Grace will also be a guest on Naqoosha D'Hemanoota radio broadcasting on 89.3FM Sydney time between 6-7PM . You can listen live by clicking here or view our archives. City Mass: On Sunday 30 April 2006 His Grace will celebrate mass at the Ancient Church of the East. The mass will be held in the City (inner Sydney) congregation. Stay tuned to www.marbawai.com for more travel details as they become available. Full coverage of the visit will be uploaded to www.marbawai.com with pictures, videos and live interviews edited daily. The team has been working hard to make sure brothers and sisters all around the globe have an opportunity to view this historic visit online in the comfort of their own homes. We pray and ask our Lord for a safe and successful trip. For more information you can contact Raabi Soro Soro on 0416 813 870 or Raabi Sam Shalalo on 0408 615 519. The Assyrians of Iran have in the last five years organized the Tammuz Festival in Urmia, Iran. This sports festival is a series of international tournaments in which the Assyrian athletes from different countries including Iraq, Syria, Georgia, Armenia, and Russia compete football (soccer), basketball, volleyball, tennis, chess, and others. The 2006 Tammuz Festival will take place between July 28 and August 11. This letter is an invitation to your organization to send a team of Assyrian players to this year's Tammuz Festival 6756. The deadline to submit your team's name and information to the Tammuz Festival is May 10th. Tel: +98 21 4432 5050 , 21 44325051-3 , and mobile: +98 912 118 3947. Each and every year, we the Assyrians, celebrate the Assyrian New Year on April 1st. For the first two days we gather in our clubs to hear lectures, poems, and displaying our history and heritage for non-Assyrians in the greater Chicagoland area. On the third day we have a party with many Assyrian singers cheering for goodwill, prosperity, and unity for all the Assyrians around the world. For the forth day, we have a mile long parade along King Sargon’s Boulevard, with many colorful floats that decorate the parade path, thousands of participants dancing on the rhythms of our folkloric Assyrians music, raising our national Assyrian flags high, and joyfully singing our nationalistic songs. Unfortunately, for the last two years, the flavor of this yearly celebration is gradually becoming less desirable, less floats, and with lesser celebratory participants, we do not have to blame the Chicago weather for that. There is an important factor for this yearly celebration that is becoming of lesser interest, and that is of the committee that organizing it. It is pushing hard for the unification of Assyrian, Chaldean, and Syriac as one nation, which infuriated lots of Assyrians by that idea. And for this reason also, lots of those who are true Assyrians in origin, and are for the last two years considering themselves to be of Chaldean descent, are staying away and avoiding this yearly celebration. Others who dislike to hear the loud announcements during this celebration of the combined name of AssyrioChaldean, Syriac, who are completely against the principal of our national unity. Perhaps they are right, and they are assuming that the formula of combining the nationality with a religion rite is not balancing at all, such as Assyrian nationality combined with Chaldean and Syriac rites. And they are absolutely correct when they compare it to this great country of the United States when its founders balanced the formula not to combine State with Church rites. On the other hand, it was a very encouraging and emotional scene when the Maronite Church members of the greater Chicagoland area, were one of the participants in this year’s parade. They were waving the American and the Assyrian flags together with great joy, for sure they are slowly reestablishing their identity as Assyrians. I am very delighted to observe this fact, but I will be greatly joyful if the Maronite Church will reinstate the Rogation of Ninevites “Ba’oota D’Nenwaye” rituals in its Church calendar that was previously erased in the 19th century by the Church of Rome. I also find that it was rather unusual to see a Chaldean national flag waving in this year’s parade. We are shouting and raising our voices and calling for the unity of Assyrian, Chaldean, and the Syriac to be bound together as one nation, now we became two nationalities with its own flags. I am afraid that the Syriac will display its own national flag the next time. Not only was the Chaldean national flag waving in the parade, but some of Assyrians in origin who are currently living in Australia and some parts of Northern Iraq, celebrated the 7306’s year of Babylonian-Chaldean National New Year Day on April 1st of this year, and are also raising the same Chaldean national flag in their celebration exactly as the one displayed in our celebration. I am wondering what kind of calculations they have made to determine the accurate year of 7306. Our documented history is telling us that Babylon was the religious capital of Assyria, and the Assyrians were celebrating 12 days of religious rituals in Babylon, the same time, they were celebrating in the capital Ninevah too. It appears that those Babylonian impressionists of today, who designed their flag, have no knowledge that the Sun they drew in the middle of their Chaldean national flag, resembles exactly the Iraqi government symbol during the ruling president Abdul Kareem Qassim. 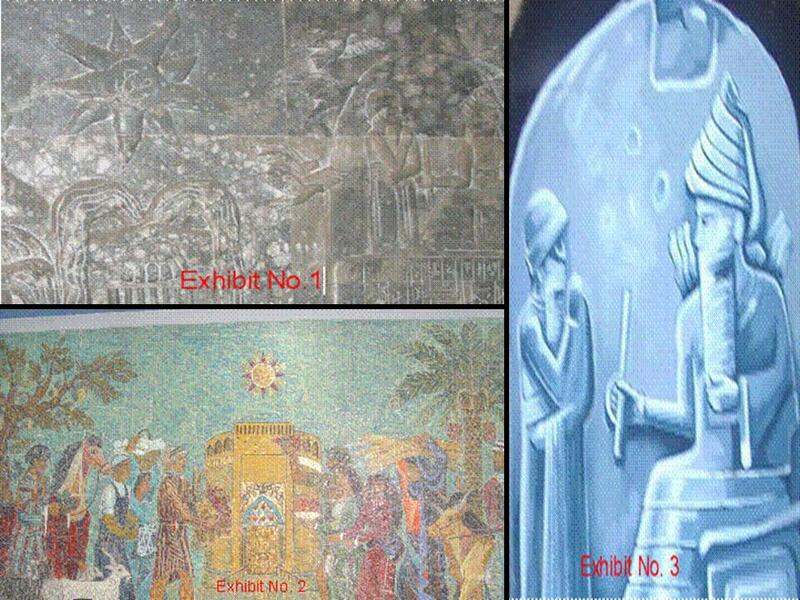 The Babylonian impressionists of today made a good judgment that they did not mistakenly depict the Sun’s image from the infamous carved marble of King Hammurabi and god Shamash of Babylon which the former Iraqi ruler had carved his initials “S.H.” in the middle of it, as we see in the exhibit No. 1. I am wondering why those Babylonian impressionists of today did not review their resources carefully and finding that the Sun they depicted for their flag was previously drawn by an Arabian artist as we notice in this marvelous mosaic in exhibit No. 2. So my dear beloved Babylonians of today, let us forget about your Chaldean national flag that you have wrongly designed, raise up high the one and only flag of Assyria. If you are unable to visualize it, just log on Zinda magazine and you will see it front page. The City of Sarcelles, France is commemorating the memory of the victims of the Assyro-Chaldean Genocide perpetrated in 1915. Mr. François Pupponi, General Counselor of the Val d´Oise and Mayor of Sarcelles; Mr. Michel Waksberg, Assistant to the Mayor; Mr. Naman Adlun, President of the Association of the Assyro-Chaldeans in France; Mr. Eric Doman, President of the Union of the Assyro-Chaldeans in France have the honor of inviting you to the commemoration in the memory of the victims of the Ottoman Empire on Sunday, 23 April 2006 at 17:30 (5:30 pm) in front of the "commemorative stèle" at the Nelson Mandela Athletic Center on Paul Langevin Street in Sarcelles. This ceremony will be followed by a gathering at the Field of Fails, on Réfuzniks Road. Once again, the Assyrian Superstar committee has successfully finished hosting the second phase of the Assyrian Superstar project on Friday April 7th. The Contest consisted of 11 amateur Assyrian singers performing in the Assyrian Language. The show took place in the auditorium of the Assyrian National Council at 9131 Niles Center Road, Skokie, IL 60076. The next show is taking place at the above mentioned address Friday April 21st, 2006 @ 7.00PM. The final show will be in Rosemont Convention Center on May 27th 2006. As of now, 2300 viewers from USA & Canada voted for their favorite singers via SMS utilizing cell phones and by Paypal/Internet and determined the following final 6 for the phase 3 of the project, Rita Davoud from Michigan, Evel Hanna from Canada, Banipal Giwargis from Chicago, Shant Esho from Canada, William Youssef from Chicago and Ninos Shamoon from Canada. The level of the Assyrian culture has been facing many difficulties and obstacles in the last decade worldwide. The prevalence Assyrian music and singers has dwindled greatly, leaving a culture gap for those of Assyrian decent. It has been predicted that there will be no Assyrian singers in the community in the future. Assyrian Superstar is taking action to create singers in the community by preparing these new talents for their singing careers to come. Assyrian Superstar is working to preserve Assyrian culture and heritage, as well as remind the community of Assyrian lyrics, Assyrian music and unique, distinct Assyrian folk dancing. For more information, please visit the official website @ www.assyriansuperstar.com or contact Ather at ather@assyriansuperstar.com. on Sunday 2nd April 2006. I am particularly thankful for the presence of the representatives from all three levels of the Federal, State and Local Government. I would precisely like to welcome The Honourable Senator Concetta Fierravanti-Wells, representing the Prime Minister of Australia. and Mr. Chris Bowen MP, member for Prospect, representing the Opposition Leader, who raised the Assyrian Universal Alliance petition on 23 May 2005, in the federal Parliament calling on the Australian Government to urge the Iraqi Government to create a ‘protected administrative region for the Assyrians in the Assyrian Heartland in Northern Iraq. In this traditional and historical Assyrian New Year day 6756, we convey the message of peace, love and hope to the world. We offer cordial greetings and good wishes to our Australian Troops in Iraq and elsewhere who are risking their lives to defend the values of democracy, protecting and securing basic human rights and equality to all, regardless of colour, belief or gender. Our message of support goes to those who are suffering because of violence and armed conflicts, particularly the Christian Assyrians of Iraq. We greet all individuals, communities and nations that are committed to continue along the path of democracy, justice and peace rather than using cultural diversities as a reason for conflict. For years now, the number of Christians in the Middle East has been dwindling steadily. Christians dominated the Middle East for more than six centuries. The Middle East being the birthplace Christianity far outnumbered their neighbouring Muslims and Jews. Today, Christians number fewer than 15 to 20 million, in the region, compared with a Muslim population of more than 350 millions. "The nightmare is that perhaps there will come a time when the Holy Land will be commemorating great events in the life of Jesus but without a living community to sustain them. Iraq, the cradle of civilization and once being the centre of the earliest Christian Churches in the world, may soon be cleansed of its Assyrian population, the only indigenous people left in that particular part of ancient Mesopotamia. Today out of approximately four million remaining Assyrians, more than half are scattered throughout the world, struggling for their survival. In the process of their dispersion to Western countries, the Assyrian language, the language of Christ during his lifetime on earth, and the rich Assyrian culture and heritage are potentially facing total extinction. The historical treasures of the Assyrians are being looted and destroyed. Their historical lands are being systematically occupied and the original inhabitants forced out. These treasures and these lands are by right the inheritance of our Assyrian ancestors. They are our link to our ancient heritage. They are considered sacred for the Assyrians. They are referred to in our songs and in our poetry. They form the basis of our determination to survive as a people and as a nation. They are the heartbeat of the Assyrians that keep soul alive, struggling towards regaining our freedom. In conclusion, our honourable guests, Assyrians need your help and support. In the name of over forty thousand (40k) Assyrian Australians and Millions of our Martyrs, who sacrificed their lives to distribute the word of truth and peace of our Lord Jesus Christ to all nations of the world and those whose ancestors created the first and the oldest civilization and church on Earth, we ask you in the name of humanity to support the Assyrians for their right to exist and to be protected on their own traditional soil. To support their rightful demand for a demarcated geographical autonomous region within a federal Iraqi state, in which they can administer themselves, and live in peace as proud native citizens in the land of their forefathers. If this ancient indigenous people of Iraq were decimated, then the rest of the remaining native population of the Middle East would eventually be absorbed into the neighbouring majority. Christianity would become something of the past. We trust that you will consider participating in the resolution of this growing predicament that is taking the form of a global challenge, affecting every one of us. Finally, I wish you all a Happy and prosperous Assyrian New Year. The Iraqi society is basically a tribal Muslim society. Before the Baathists takeover of power in 1968, tribal power dominated the rural areas: villages and small towns, but it was weak in major cities like Baghdad, Mosul, and Basra. 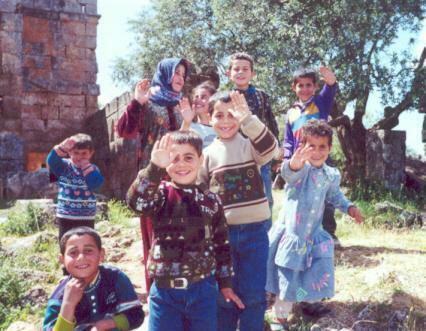 In the Kurdish areas, tribal organization of society was the basic form of social codes in major cities as well as rural areas. The previous regime started early in the seventies to undermine the strong tribal cohesion and power in all Iraq, especially in the Arabic areas. The campaign was meant to replace the tribal loyalty of individuals (considered at the time as an obstacle to social as well as to economic development) by the loyalty to the revolution (the Baath party coup d’etat of 1968). The land reformation law, discouraging the use of tribal titles (like “Sheikh”, or tribal title attribution in personal name) and the application of aggressive methods for the Baathification of the whole society: all worked together to virtually eradicate the tribal organization and power in the Iraqi society. As the loyalty of persons gradually changed towards more political nature, the regime changed the tactics and definition of loyalty to a narrower one, i.e. loyalty towards Baath party only, which was culminated by political arrests and execution of political opponents in the mid-seventies. In the late seventies, and starting with the ascending of Saddam Hussein to the ultimate power in 1979, the loyalty demanded by the regime shifted gradually from Baath party towards the person of Saddam Hussein. This was forcefully manifested by the execution of ex-comrades of Saddam Hussein in 1979. From then on the Iraqis had only one choice of loyalty: the person of Saddam Hussein. Any other form of loyalty was not accepted, but severely punished. At this moment, the Iraqi society lost in major lines, and in details in the cities, all forms of tribal organization and influence. This campaign was accompanied by an anti-religious strategy, one meant to break down the religious Islamic social and political influence in Iraq. The aggressive social, political, educational campaign was so successful, that Islamic religious manifestations in the major cities were barely evident. A highly politicized and secular society was established in Iraq. This secular society was not destined to survive for long. With the advent and escalation of the Iraqi-Iranian war, the Saddam regime changed its social strategy by invoking tribal organization and Muslim religious norms in society in order to boost social cohesion, morale and at the same time counterbalance the Iranian Islamic propaganda campaign of war against Iraqi regime that was based on portraying the Iraqi regime as an infidel. Slowly but steadily during the eight years of war, the Iraqi society showed more and more religious radicalization and more tribal appearances. The tribal organization, though kept under control, was fully restored and the society embraced the religious norms with fervor. The media, school curricula and laws were changed to reflect the new era of Islamic piousness that led to the sewing of the first seeds of Islamic fervor in Iraq. A primitive form of Islamic fanaticism was established and nourished by the deposed Iraqi regime during the so called “campaign of belief», initiated by Saddam Hussein in the late eighties and continued till his fall. The Iraqi Christians, rightfully considered as inheritors of the ancient Babylonian and Assyrian Mesopotamian civilizations, do not have any tribal organization similar to the one of the Muslim Arabs or Kurds. These ethnic-religious minorities, due to their settled way of life, did not know nomadic forms of life, necessary for the formation of tribal organization. Their ancient and modern history shows them as rural and urban settlers. The Chaldoassyrian Christian villages in northern Iraq testify to this fact. The differences among individuals of these villages are related to village-city attribution rather than to tribal adherence. This latter form is also well-known in the Arabic society, where an Arab from Baghdad could be called Baghdadi (i.e., from Baghdad) or Mosuli (from Mosul) and so on. This latter form of social adherence never replaced the tribal title for the Arabs. The Iraqi Christians, as an ethnic-religious minority that lacked tribal organization in the majority highly polarized tribal-Muslim society, were extremely vulnerable and exposed to social, racial, political and religious discrimination and persecution. With the exception of certain peaceful periods in modern Iraqi state (from 1920 onwards), the Iraqi Christians suffered religious-tribal persecution from the Muslim majority (1933, 1961, 1973-76, 1988-2003, 2004-2006). The state persecution manifested itself in forced deportations, expropriation, destruction of villages, mass executions, Arabization, nationality revocation and organized anti-Christian religious propaganda in the media. The regime in 1992 issued a law by which the Christian liqueur shops and restaurants were rendered illegal and were closed immediately. Thousands of Christian found themselves workless and without any revenues. Paradoxically, the state continued to produce liquor and beer in its three major factories in Baghdad. Later, the Iraqi regime issued an internal directive banning the Christians from naming their new children with Christian or western names. The Christians were forced to use only Muslim or Arab names. In the national census that is held every 10 years in Iraq, the Christians were not allowed to use another ethnic nationality than the Arab one. At schools the Christian children were forced to learn Islamic religion and history. The reshaping of Christian minority in Iraq was well advanced towards the goal of identity obliteration when the fall of the regime finally came at the hands of the allied forces in April 2003. Though the state kept a clean and bright face of apparent tolerance and show of respect towards Christian minority in the eyes of the outside world, the reality on the ground was totally different. Hundreds of thousands of Iraqi Christians, in an ethnic-religious exodus, left Iraq for search of freedom and dignity in western countries. Socially, the Christians were increasingly alienated from society, due to the very apparent Islamisation of the Iraqi society and the re-installation of Arab tribal norms as a replacement of laws. The regime encouraged and advocated in his last years the use of tribal norms in conflicts between individuals. Here the Christian minority suffered great injustice because they lacked tribal power, and counted on state laws for their protection. The extensive wearing of veils by Iraqi women, a previously unknown phenomenon in Iraqi society, antagonistic preaching in mosques, increased social awareness of Islamic identity and extensive use of Islamic religious language in daily life affairs left the Christians exposed as well marked islands. The religious and tribal social differences that had been minimized in the seventies, resurfaced in excessive manner, leading to nearly complete isolation and alienation of the Christian ethnic minorities. The basis for the new Islamic sectarian government and society of the new post-war Iraq was shaped during the reign of the deposed dictatorship of Saddam Hussein and is now vehemently pursued in the new post-war society. The continuance of exodus of Iraqi Christians towards safety in foreign countries is a shocking reminder of these events and of the new society. The seeking of a safe haven by Iraqi Christians in northern Iraq is another manifestation of insecurity. Most of the Christians now returning to their ancestral villages in northern Iraq, have never been there and were born in Baghdad or other major cities. It is a cruel image of repetitive forced internal migration. Today the Iraqi Christians find themselves more estranged in their own country than before the fall of the old dictatorship regime in 2003. After the mysterious death of Bishop Isa Cicek, the organization of the Syriac Orthodox Church has been lined with scandals. There is a stormy atmosphere within the organization and the development points towards a division. Bishop Isa Gürbüz, who was the head of the organization in Germany, has been chased away. Behind this expulsion lie strong spheres of interest. This has in turn brought Bishop Isa Gürbüz under coup-like circumstances, and to the parish members’ big surprise, to take the see as bishop of Austria and Switzerland. Bishop Cicek was a zealous opponent to ordain monks from Syria to bishops. The reason for that being that monks from Syria have a lack of independence and from a historical point of view tend to run errands for the state of Syria within the Church’s organization. Bishop Gürbüz’ relation to the Assyrian fraction has with time become conciliatory and lenient. This bothered the Aramean wing. 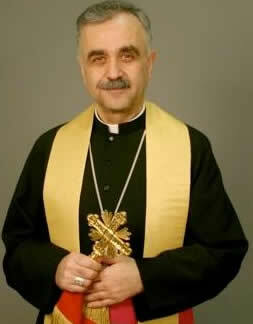 With Bishop Cicek's death, two spheres of interests, namely the Arameans and the Anti-Cicekians, have been united and have chased away Bishop Isa Gürbüz. They have done this in order to ordain new bishops, which most likely will be from Syria, with all the implications that it will have for the Church and the people. As it looks now, the division of the organization is an unavoidable fact. The question is, what will happen after the division? The organization in Germany should, in order to avoid a division, study the Swedish case and learn from it, so that they don’t commit the same mistakes that led to the division of the Church in Sweden. The Syriac Orthodox Church in Sweden is approximately ten years ahead the rest of Europe when it comes to the division. In Sweden there are two Episcopal sees. The distance between the two seats is not longer than a stone’s throw. It doesn’t require much intelligence to figure out that these Episcopal sees are there for different spheres of interest. They lead only to division. In the Gospel according to St Matthew he tells the parish members, regarding false prophets, to “Watch out for false prophets, who come to you in sheep’s clothes but who on the inside are voracious wolves. You will recognize them by their fruits. Grapes are not gathered from thorns or figs from thistles, are they?” Matthew 7:15-16. Bishop Benjamin Atas – with a seat in Södertälje– visited the new pope Benedictus XVI in Rome on the 30th of May, 2005. 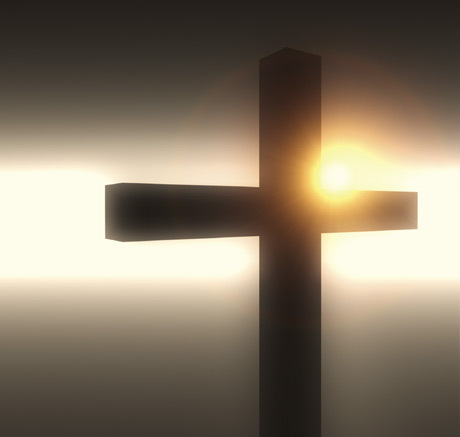 He conveyed his longing for a unified Christianity. Yet he doesn't relinquish from being ordained to a Bishop and taking a big step towards a division in his own Church in Sweden, when there already was a Bishop in Sweden. Bishop Abdulahad Shabo is used to give long sermons in crowded church services. He preaches often about our language’s holiness, but gives the sermon in Arabic – Islam’s holy language – before a crowd of Syriac speaking visitors. Logically, you might wonder if our language, spoken by Jesus, is holy enough for the Bishop? Why does this bishop have such a grudge against our holy language? Our people and organizations in Germany are at the present facing a difficult choice, to choose the Swedish model or not. It’s about choosing division or unity! In the history of the Syriac Orthodox Church there was a dark period of division that lasted for 475 years (1364-1839). During this period of almost 500 years, 41 patriarchs were wrongfully ordained, according to the church, for the area of Turabdin. The division ended only after Maferyono Ablahad dBeth Kande relinquished from being promoted to the patriarch. He wanted to unify the church and stop the disintegration. This occurred in the year 1839, five years before Maferyono Kande was murdered by a Kurd. He was a real and genuine Christian and followed the principles of Christianity. We all suffer from illusions, and Samuel Shimon, the author of this autobiographical novel, believes that "without illusions life would be hell". One of the most common illusions is that our lives are unique, and the more extreme one's life has been, the deeper this illusion. Half- Palestinian and half-Lebanese, and in religious terms part Greek Orthodox and part Maronite, though baptised Roman Catholic, I was first kidnapped at the age of 14, became a leftist activist at 17 and received political asylum in Copenhagen at 20 and now live in Cairo. I have long been under the illusion that my extreme life-course is unique, like my multiple identities. When I began reading Shimon's novel An Iraqi in Paris, I was also suffering from another misconception, this time resulting from reading reviews of the book that stressed the author's bizarre life style and personality and his tendency to invent. Yet, it took only 20 pages of Shimon's novel to shatter both my lifelong illusions regarding my uniqueness, as well as my short-lived misconceptions about this author's alleged invention. In these 20 pages, covering the months following his leaving Iraq while still a young man, Shimon -- a destitute Christian Assyrian, the son of a deaf-and-dumb baker with a Jewish name, an Arab heart and a wild dream of becoming a filmmaker in Hollywood -- was repeatedly arrested, kidnapped, tortured and almost killed by the agents of two Arab states, as well as by members of right- wing Christian and leftist- Palestinian militias in Lebanon. Later, he survived a massive bombing raid on Beirut by Israeli planes. The circumstances relating to these extraordinary events are laconically described, albeit with a few mistakes (the famous Alexandre Hotel in Beirut becomes the Alexandra Hotel, for example). My disbelief, which the golden rule of reading fiction tells us has to be suspended, began to nag me: impossible, this guy is making it up; no one could be so unlucky. I hung on to my disbelief because it sustained my illusions: if the narrative was exaggerated, then the narrator and his exceptional identity were also fake. However, this disbelief was shattered when in one of the laconic anecdotes contained in this book Shimon writes about a young French volunteer, a medical student called François, who had joined the "revolution" and died in the infamous Israeli air-raid on the densely populated Kanafani district of Beirut in 1981. My disbelief was shattered because I knew this same François, and I remember asking after him in the shattered Hilton Hotel by Normandy beach after the Israeli air raid as if it were only yesterday, only to be told " istashhad ": he is now a martyr. The Hilton was later one of the few hotels to be destroyed during the reconstruction of the downtown area of the city. The odds of a reviewer in Cairo reading the long-buried story of a young idealist who lived among the ruins of old Beirut, died with its Palestinian refugees and was buried near Proust and Callas in the Père Lachaise cemetery in Paris in a book written in London by an Iraqi writer are as great as any. Yet, in his book Shimon comes up with many other events of the same sort: a discussion of French nouvelle vague cinema while a member of the Phalangist militia holds a gun to his head, or bursting half naked into a council of war held by Yasser Arafat in Tripoli. The style in which Shimon's book is written is as down to earth as his adventures are out of this world. These are the words of a talkative friend narrating his adventures to a confidant after many drinks. The settings are sketchy, but the characters are mercilessly and directly delivered through honest and revealing remarks. The narrative is multiple and fragmented, and it draws on some familiar themes: the constant struggle to make ends meet, to find a lovely girl, to "keep away from Arabs" who can neither live with or without one another, even while our hero tries to reduce the distance between his starting point, Baghdad, and Hollywood, his destination. Shimon's bare style, denuded of artifice, makes reading An Iraqi in Paris a true adventure, the style giving the book an immediacy that compensates for the strangeness of the main character and the unlikelihood of the events that he lives through, events that are, nevertheless, real. This combination of a realist style with content more akin to the adventures of Sindbad helps to make An Iraqi in Paris a modern Arab fable, sustaining the moral such a fable requires: follow your dreams and you will succeed. This is so even if the price is exile, homelessness, and, indeed, self-mutilation: Shimon gets himself circumcised at the age of 28 without an anaesthetic, for example, "in order, not to become a Muslim, but to get rid of a suspicious and imperialist feature" of his body. All the while he is nearly killing himself to reach that embodiment of both Arab dreams and nightmares -- America. The fact that Shimon's account is real does not make his modern fable any less exceptional, however, for very few people have had fortune so systematically set against them or the guts to meet its woes head on. Yet, what make reading Shimon's account of being a PLO activist in the Lebanon and Tunisia, an asylum-seeker in France, a clochard in Paris, or a writer in London and screenplay writer in Hollywood, is that the individual and the exceptional expresses a deeper and more common Arab condition, contradicting the illusion of being the isolated or unique victims of the state of exception that rules in the Arab world. We are all subject either to random persecution or disenfranchisement in the Arab world and to exile, marginalisation and alienation in the West. We all have a strong desire to realise ourselves against all the odds, some dreaming only of a house to call our own, others of a homeland. In Shimon's case, his life consisted of an incredible odyssey to realise his dream of becoming a film director in Hollywood and to make a film about his deaf-and-dumb father dedicated to the American director John Ford. One day I am sure we will watch this film in a nearby cinema, and maybe, for those of us who knew him, the suffering face of François will recall a time when West and East were joined in a common dream, perhaps an ephemeral and naïve one, of a just world. This was a dream of a world very unlike the world we now live in, a nightmare of exclusion and mutual distrust. In 1807, the first important map of southern Australia was published in Paris, the work of Louis de Freycinet. It depicted the coastline from Wilson's Promontory to Cape Adieu on the Bight. The landmass was shown as Terre Napoleon. What we now know as Spencer Gulf and Gulf St Vincent - the names Matthew Flinders gave them - appeared as Golfe Bonaparte and Golfe Josephine. There were other tributes to France's first family: Isles Jerome, Baie Louis and Baie Hortense. Various ornaments of French civilisation, soldiers, statesmen, writers and divines, were similarly honoured: Lafayette, Rabelais, Voltaire, Montaigne, Talleyrand, Moliere, Bossuet and Fenelon. But, as historian Ernest Scott remarked, there were some surprising omissions. "We miss Rousseau and Turgot, deplore the absence of Corneille and La Bruyere, and feel that at least a sandbank or two might have been found for Quesnoy and the economists." Robert Hughes has written extensively about the shock of the new; Freycinet's map is more a case of the shock of the familiar. For an instant, the dreary stretch of coastline evoked by McGrath's Flat, Salt Creek, Martha's Washpool and Tilley's Swamp suddenly becomes a tabula rasa almost as exotic as it must once have seemed in First Empire salons. But unfortunately almost everything about the map, from its claims of discovery and territorial assertions to its physical accuracy and most of its placenames, is fraudulent. The French expedition, which had been led by Nicholas Baudin, got back to Europe long before Flinders, who spent years in captivity in the French-held colony of Mauritius, and published first. After Baudin's death, Freycinet took a great many liberties in his name. The map purported to be the first chart of undiscovered coastlines but, apart from the south coast of Kangaroo Island, it had already been explored, named and charted, mostly by Flinders. The French understood that perfectly well because Flinders had told them so and shown them his maps, both at Encounter Bay (Victor Harbor) and later when their ships, the Geographe and the Investigator, lay together at anchor in Port Jackson. Since there doesn't appear to have been any intention by the French government to contest British sovereignty, calling the southern part of the continent Terre Napoleon is perhaps best seen as a sop to imperial amour-propre and the other names an attempt to curry favour, especially at court. Unfortunately for Freycinet, by the time his map named a gulf after Josephine, she had been replaced by the empress Marie-Louise. When a fresh chart was published in 1817, in recognition of the Bourbon restoration, all the Napoleonic names had been purged. Some of the French-given placenames on Kangaroo Island have stuck, including Cape Buffon, Rivoli Bay, Cape Jaffa, Guichen Bay, Cape Bernoulli and Lacepede Bay. Of the survivals, Scott says: "Some or other of these names may be found, in some order, on some modern map, but the sequence is variable, and they are not all to be found on any single map with which the author is acquainted because there are more names than there are capes and bays to which they can apply." Unreliable maps have a charm all their own, especially when - as in this case - they record a sovereignty and colonial settlement that might have been but never eventuated. What a difference it would have made to South Australia and the country as a whole if there had been a Francophone outpost, in some ways comparable to New Orleans' influence on US civilisation or Quebec's on Canada. Historians often argue that it's not possible fully to comprehend the past without comparing it with alternative scenarios. If Adelaide had been a French city, with an overwhelmingly Catholic population rather than dozens of non-conformist Protestant sects, it could never have become what Don Dunstan used to call "the social laboratory of the south". It would have been unlikely to initiate pioneering law reform, but it probably wouldn't have needed to because it'd have inherited the Code Napoleon, a triumph of 19th-century progressive legislation. That said, it must be admitted that, as colonisers, the French weren't as restrained a bunch as the British, so on the whole the Aborigines wouldn't have fared as well and neither would the proletariat. There'd have been none of the sops to egalitarianism that were such a feature of the so-called Paradise of Dissent, as 19th-century South Australia has been called, and the mixed blessings of an overtly class-based system rather than a disguised one presided over by a squattocracy. In constitutional terms, I suppose it's likely that the south would have ended up a republican enclave, unless by good fortune annexed by NSW in the name of the British Empire during the revolutionary unrest of 1848. However, French culture would have been well enough entrenched so that the chief city of the province even then would have been acknowledged as the culinary, viticultural, architectural, artistic and fashion capital of Australasia. Another map and another set of might-have-beens was drawn to my attention the other day. The big difference is that the second map is an accurate one. It charts the missionary activities of the Syrian Church from the 8th century to the 13th century, when its numbers may have been comparable to those of Rome or the Orthodox Church, and 25 metropolitan archbishops obeyed its Nestorian patriarch. It had been in India since at least the 4thcentury, in Ceylon by the 6th century, was well established in China by the 7thcentury and, before the tide of Islam, in the 8th century even had a remote southernmost diocese in, of all places, Java. The map comes from the first volume of Syriac Dialogue, published by Pro Oriente Press in Vienna in 1994. The dialogue records the earliest missions from the Eastern Syriacs to China in 635 and discusses the parallel text inscriptions concerning them on the famous Si-ngan-fu cruciform memorial of 781, which was rediscovered by another wave of (Jesuit) missionaries in 1652. This monument gives wonderful matter for the imagination. Discovered by accident 1000 years later, it brought across that silent chasm its witness of a forgotten church, lost centuries before in the storms that swept over Asia. Now, looking back through the mist, we have a glimpse of [the priest] Olopun observing the azure clouds and bringing the sacred books to the accomplished emperor Taitsung, bringing the Illustrious Religion [as the Chinese called it] 13 centuries ago. Fortescue also tells the remarkable story of a Peking (Beijing)-born monk called Rabban Sauma, who was part of the retinue of a Chinese bishop who reigned as the Syrian patriarch from 1281 to 1317. Sauma undertook an embassy to the West on behalf of Argon Khan, the civil ruler of much of the patriarchate. Sauma was an Asian counterpart to Marco Polo and the cultural obstacles he overcame were at least as great. Although an obscure cleric when, Fortescue tells us, "the very existence of a Nestorian Church was almost forgotten in the West", he was a successful diplomat. He met Pope NicholasIV and negotiated on the Khan's behalf with him, Charles II of Aragon, Philip IV of France and Edward I of England. "This is the [farthest] point Sauma reached. To travel from Peking to Gascony in the 13th century is indeed an astounding feat." Within a few decades, Mongol conqueror Tamerlane had destroyed almost every vestige of Christianity throughout his vast empire. Apart from the archeological record and fragmentary evidence that Tibetan Buddhism adapted some of the ceremonial of Nestorian wedding rites, it is as though there had never been a Syrian presence in Asia. Even so, it's fascinating to think how a highly cultivated mandarinate with competitive examinations might have meshed with an ecclesiastical hierarchy with directly comparable ladders of preferment. More fascinating still is the question of how a Chinese civilisation might have been tempered by a protracted encounter with distinctively Christian values. Besim Aydin's new novel "Med döden som skugga" ('In the Shadow of Death') is about the Seyfo Genocide and is written in Swedish, giving Swedish readers an unparalleled perspective on the genocide of the Assyrians during World War I. 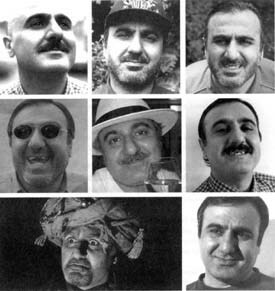 Although the book was written in the last three years, Besim Aydin began his research in 1991 when he decided to work on a novel on Seyfo. He has traveled since both to the Syrian and Turkish regions of Assyria to learn more about the Genocide. Besim encountered many difficulties in producing the book. The major setback came when no Swedish publisher wanted to publish his novel. "They said that the book is very good, but they can’t take publish a book on this issue because it is very sensitive and political," Besim explains. That’s when Besim Aydin decided to start his own publishing house, Arjovi Publishing firm, and published the book himself. Besim Aydin has previously written “Tales from Mesopotamia”, a children's Syriac Bible and a Syriac translation of Pippi Longstockings. Zinda Magazine salutes the brave Assyrian writers and artists around the world who despite the daunting challenges facing those who speak the facts step forward and write, paint, and sing about the truth. For your next artistic project contact Zinda Magazine and let our staff join you in this cultural revolution. "Arjovi" in the beautiful western Syriac (Assyrian) dialect means "I was a Lion".